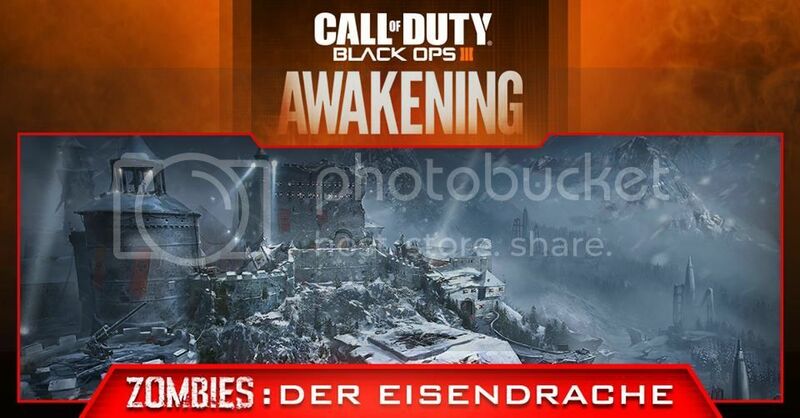 Der Eisendrache, the first chapter of Call of Duty: Black Ops III’s Zombies DLC adventure will take players on an epic journey with the Origin characters Richtofen, Nikolai, Takeo, and Dempsey. 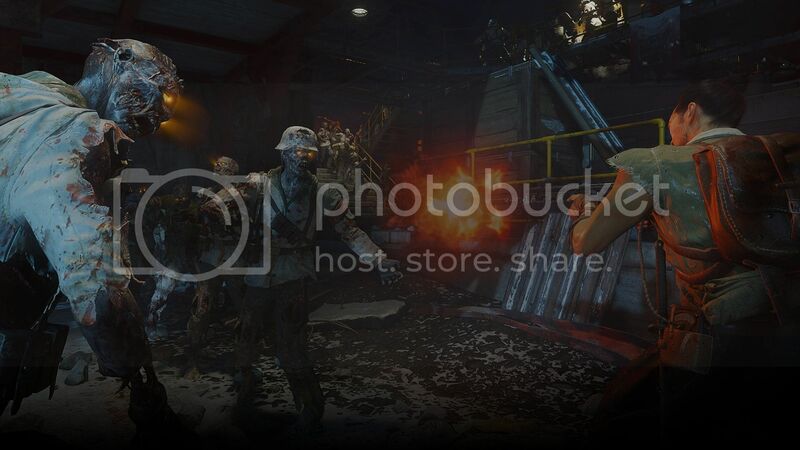 Set in an eerie medieval castle built upon an ancient site of unspeakable horror, massive deposits of Element 115 have recently been discovered, delivering inspired new gameplay and – in Zombies tradition – a variety of exciting plot twists and surprises that fans will have the opportunity to discover for themselves. 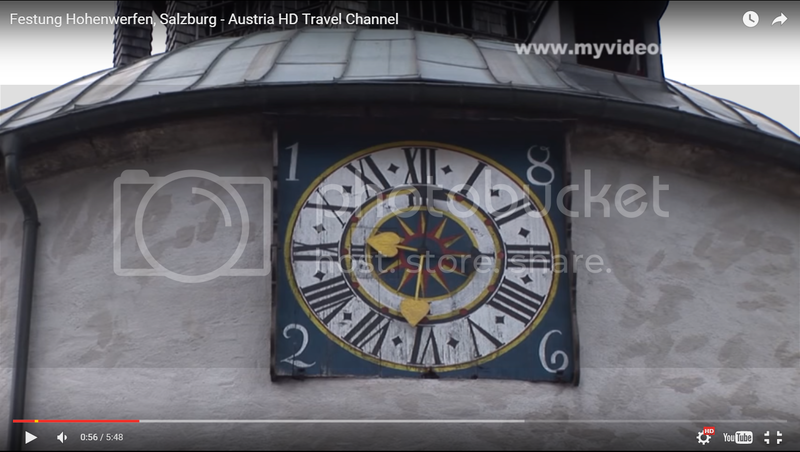 The following information is taken from http://www.salzburg-burgen.at/en/werfen/index.htm. 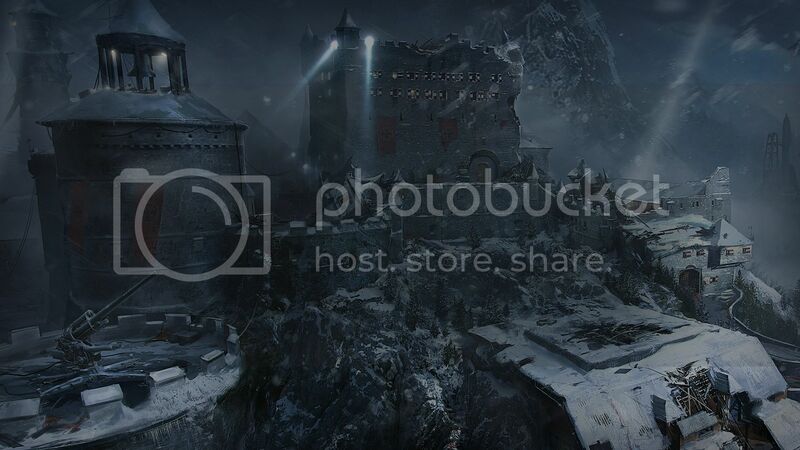 This Thread is for promotion & education of Hohenwerfen Fortress & in no way trying to plagiarise their business. Building work on Hohenwerfen Fortress was commenced following a dark period of Salzburg’s history. Several periods of political unrest and the investiture conflict made it necessary for the archbishopric to be placed under armed protection. Thus in 1077 Archbishop Gebhard ordered the construction of three fortresses - Hohenwerfen, Hohensalzburg and Petersberg in Friesach. The original fortifications were probably simple wooden structures. Over the years extensive development and strengthening work was then carried out. It was only in the 15th century that Hohenwerfen reached its current scale. At the beginning of the 16th century the country was devastated by the peasant revolts. Hohenwerfen was obviously taken by surprise by the revolts. Farmers and peasants besieged, plundered, burned and destroyed large sections of the castle. Following the suppression of the revolts, Archbishop Matthäus Lang (1519-1540) commissioned further building work. The damage was repaired and the small bastion, the adjacent Wallerturm watchtower and the hidden staircase erected. The second building phase was initiated under Archbishop Johann Jakob Khuen-Belasy (1560-1586) and modelled on the great Italian fortresses. In the 17th and 18th century the castle was mainly used as a prison. Following the secularisation of Salzburg, from 1803 the castle changed over to Bavarian rule and was allowed to fall into disrepair and ruin. Between 1824 and 1833 Archduke Johann, the emperor’s brother, had the medieval castle repaired and restored for romantic and nostalgic reasons. The castle was then mostly used as a hunting base. In 1898 Archduke Eugen purchased the castle and expanded the complex into a stately home and added a large collection of art and weaponry. In 1931 the main building in the castle complex was completely destroyed by fire. During Nazi rule the castle was used as a military training centre and from 1945 to 1987 it was used by Salzburg’s police school. Since 1987 the fortifications have been developed as a tourist attraction. There are several guided tours of Hohenwerfen Fortress every day. The tours are available in eight languages. To get the most out of a trip to the fortress, including a tour, falconry demonstration, a visit to the exhibitions, and culinary fortification in the "Burgschenke"
Tours of the interior in E/I/F/NL/CZ/ESP/RUS/H take place several times a day and include the fortress chapel, the dark staircase and chapel bastion, pitch **** please report this topic, post ****, cistern, drop tower, armoury and arsenal, weapons room, battlements, bell tower, clockworks, bell and the princely rooms. The lift’s top station, built in 2005/2006, is located in the former k i tc hen courtyard of the fortress. The entrance to the castle k i t c hen was at this level, and the two upper floors housed the cabinet: open hearth heated living areas that were mainly for women. Prisoners were held in cellar rooms. In 1077, Archbishop Gebhard of Salzburg ordered a simple defense tower built, the so called castle keep – and thus began the history of the Hohenwerfen Fortress. The fortress was continually enlarged over the next 400 years and fortified with the latest weaponry, and along with Pass Lueg, it was developed into an impregnable stronghold. 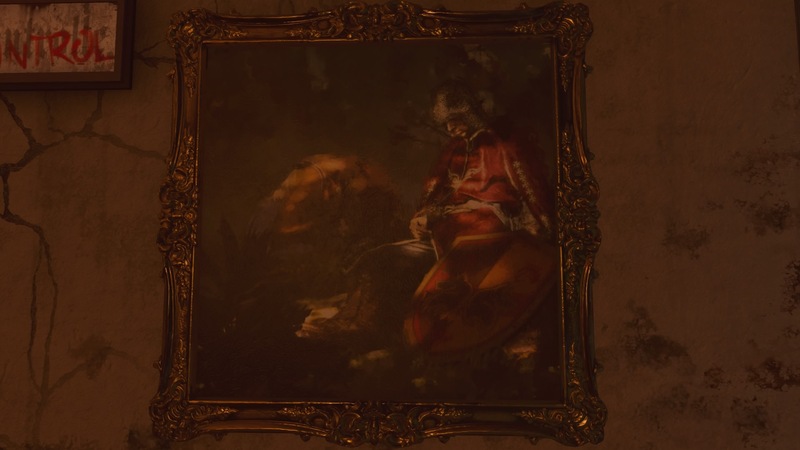 This is confirmed by a knight’s mural in the fortress chapel with the inscription “No one on this Earth shall pass here unpunished” (Veniat mundus nullus transibit inultus). 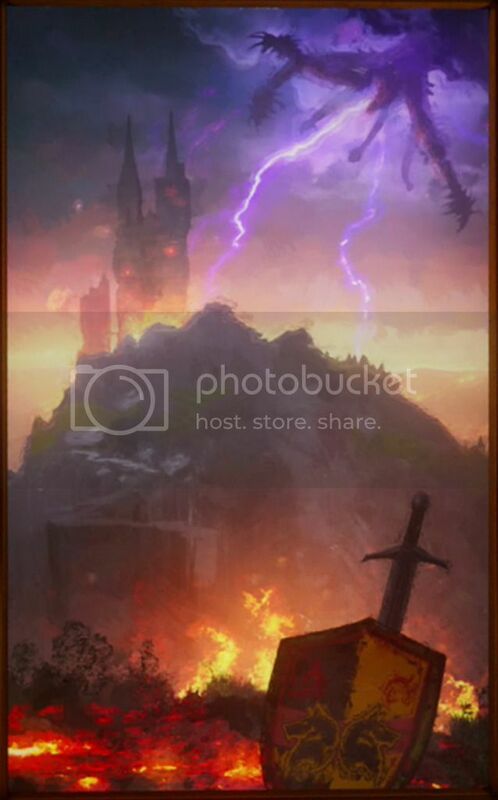 The Storm and Weather bell in the bell tower was lovingly called "Schlossahnl". On the way up three levels are toured: the clock pendulum, the trumpeter balcony and the clockworks. Almost 30 years after Archbishop Mathäus Lang ordered the tower built, it was shortened by about 6 meters in 1563-1568 under Archbishop Kuen-Belasy, in order to make it harder to hit with cannon balls. In the lantern-shaped structure over the roof dome there hangs a four ton bell, which was forged in 1568 by H.C. Löffler in Innsbruck. It served as a storm warning, among other uses. The ground floor, which was formerly used as a jail, is accessible from the first floor. The gate, which has doors that bear the Austrian double eagle with the coat of arms of Emperor Franz I, was broken through at the end of the 17th century in order to use this floor as an artillery room for a large cannon. The first time a fortress chaplain moved into these rooms was in 1621, because the prince-archbishop was concerned about the religious attitude of the men during the unstable times of the Reformation and at the start of the. 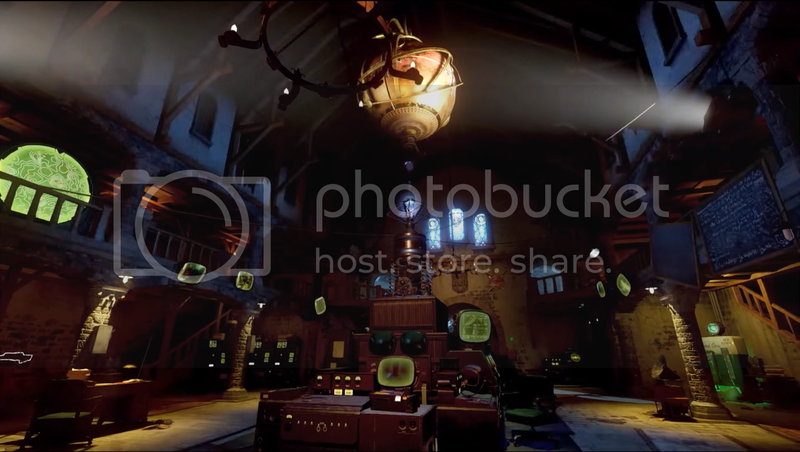 Before then, the fortress captain lived in both rooms, the foyer, **** please report this topic, post **** and cellar. The chaplain had direct access from his quarters to the Chapel Tower (Small Belfry) which was consecrated by Saint Sigismund and is now hardly recognizable as a chapel from the outside. In 1565 Archbishop Kuen-Belasy began reconstructing the Romanesque chapel which had existed since the first building phase of the fortress. Among other things, the state rooms in the floor above were constructed, and a new, barred window in the chapel floor was made so that prisoners could indirectly participate in the mass. The Residential Quarters was used by the Salzburg archbishops as living quarters and state rooms. After the fire in 1931 only one state room was reconstructed in detail. The main building of the fortress is located on the highest point of the rocky outcrop. It originates from the 12th century and with its 28 meter long hall became a model for other fortresses. The state rooms on the first floor were built between 1566 and 1568 for prestigious receptions, and in 1601 they were greatly enhanced through intricately finished Swiss pine paneling with oak and pear wood rosettes on the ceiling. In 1611 a famous prisoner from Salzburg, Archbishop Dietrich von Raitenau, was held there for three weeks. He carved an inscription in the wall, which was first discovered in 1905 during renovation work. The state rooms were destroyed by a fire in 1931. One room was reconstructed with the help of photos in 2003. The Hohenwerfen Fortress was a real bulwark with an extensive arsenal of weapons that were always adapted to the latest developments. They were stored in the armory, which was originally built for food storage. The building with its four floors originated in this form in the 16th century and was initially used as storage for supplies and grain. The increased reinforcement of the fortress in the 17th century led to the distribution of cannons and weapons throughout many parts of the fortress, so that these too gained the character of an arsenal. The only room left for food supplies was on the top floor. At the very bottom was the wine cellar with a giant wine barrel, the armor was stored on the ground level, and the weapons were stored on the next floor up. The Wine Gate, entrance to the main castle, can be found to the left of the arsenal at the end of the free-standing wine staircase. The Dungeon tower was a feared prison: The most famous prisoner of the Hohenwerfen Fortress - Archbishop Wolf Dietrich von Raitenau - was allowed to spend his term in the residential quarters. A four meter thick wall surrounds the fortress dungeon. A blacksmith from Hüttau is said to have spent seven years as a prisoner in this chamber, which is almost 9 meters deep. He was accused of having led the Protestants of Salzburg in 1731 in their resistance against being banished from the Archbishopric of Salzburg, of making weapons for farmers, and of being a heretic. 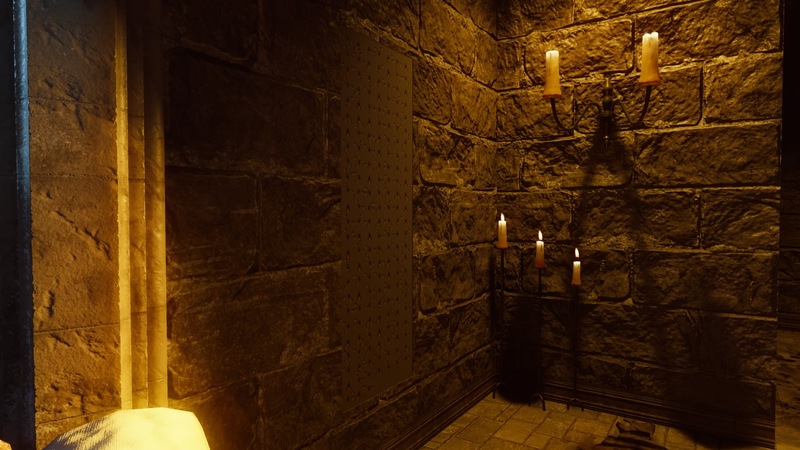 The torture chamber is located directly next to the dungeon. Due to its strong fortification, Hohenwerfen served as a state penitentiary for centuries. Even two prince-archbishops from Salzburg were forced to stay there awhile against their will. The third barrier sheet is referred to as Marien Gate or "Woman's Gate". A special feature here is the rotatable embrasure of wood which is unique for this time in Europe. Marien Gate, also called Women's Gate was built in the 15th century and was constructed to protect the living quarters with additional barbicans and bastions. In 1567 Archbishop Kuen Belasy had the gate reinforced and further protected with a rotating arrow slit and machicolation. The third outer bailey is accessible through the Marien Gate; this third gatehouse represented an additional barrier for attackers to overcome. The Marien Tower was one of two powder towers at the Hohenwerfen Fortress. The second tower was blown up accidentally in 1874: A bright spot in the wall bears witness to the former site. In 1612 the defensive walls on the north side were increased in height, and stonemasons graded the cliffs behind them towards the Salzach river. Twelve years later, the Marien Tower was built as a new powder magazine outside the curtain wall. The Salzach Tower and Ruperti Tower were also used as powder magazines. Cisterns were constructed throughout the fortress for fear of a fire breaking out and causing a powder explosion. The Waller tower now houses the first Austrian Falconry Museum. It was built, however, for the purpose of defense, and later served as storage for cannons. Falconry was also a passion of some of the prince archbishops. Archbishop Mathäus Lang ordered this defensive tower built in 1535, most likely due to concerns about a possible attack from the Turks. About 30 years later, under Archbishop Kuen Belasy, the tower was rebuilt so that it offered protection for a cannon. The top included a protective shield with walls surrounding three quarters of the tower. In the 19th century retired mercenaries lived in the Waller Tower. Today it is the Falconry Museum, displaying a thousand year history of falconry and raptor hunting. The "Dark Staircase" was a weather-protected entry and exit to the second bailey in the courtyard. The upper part of the stairs you see on a guided tour of the castle, the lower part is can be viewed in the Falconry Museum via the Waller Tower. The so called Dark Stairway, which is hidden inside a wall, has 219 steps that connect the second gatehouse with the large bastion in the upper section of the fortress. The roof was supposed to prevent the enemy from spotting troop movements within the fortress from the surrounding high mountains. The Dark Stairway was built after 1535 in the course of expanding the fortress after the Peasants War under Archbishop Mathäus Lang. The Salzach Tower in the second bailey is a typical corner tower for defense. Today, a falcon mews chamber and a horse stable are housed here. Behind it the cliff stands about 100 meters perpendicular to the Salzach. The Salzach Tower was constructed under the rule of Archbishop Kuen-Belasy in 1564 as a powder magazine in preparation for a feared attack by the Turks and due to the tensions leading up to the Thirty Years' War. The three-story tower stands at the easternmost point on the outer curtain wall. At the beginning of the 14th century, the towers and corner bastions were reinforced with a rounded surface to help deflect the penetrating power of siege machinery. Today it houses the falcon chamber and a horse stall. In the aftermath of the Peasants’ War, from 1533 to 1536, large sums were invested in the baileys. The second gatehouse was commissioned by Archbishop Matthäus Lang von Wellenburg. This gatehouse connects the Waller Tower and the dividing wall of the Dark Stairway and provided massive security between the first and second outer baileys. Archbishop Mathäus Lang built this additional fortification in 1535, a short time after part of the fortress was burned down and destroyed during the Peasants War. The first gatehouse is secured by three iron-studded gates and a portcullis. The building was built in 1641 during the final stages of construction under Prince Archbishop Paris Lodron. The only coat of arms of his can also be found here. Gatehouses seal off the access roads to the hilltop castles. At Hohenwerfen Fortress three such gatehouses divide the castle complex into three areas (baileys) that can be secured, offering the best possible protection. The first gatehouse with the coat of arms of Archbishop Kuen-Belasy originates from the 16th century and was originally a defense tower. In the 17th century it was expanded and became a residential tower for the porter and the gate guards. Formerly, five ironclad double-wing doors and a portcullis prevented intruders from entering the fortress. The drive roller for the portcullis is located in the attic of the porter house. Hohenwerfen Castle served as the main backdrop for the song "Do-Re-Mi" in The Sound of Music. 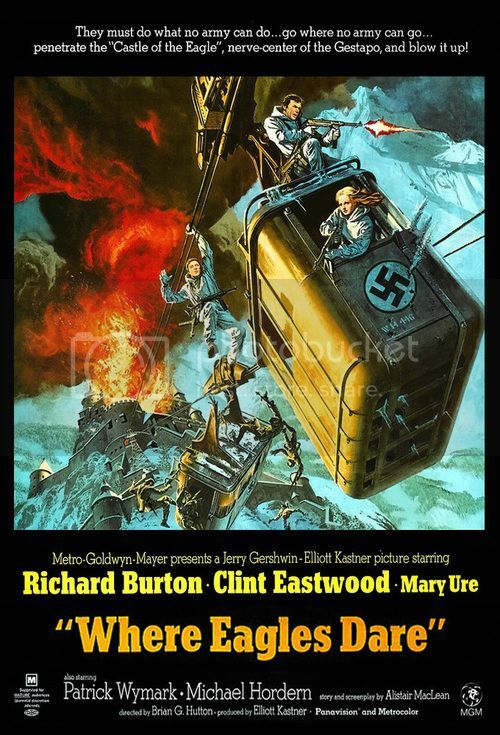 Where Eagles Dare is a British 1968 World War II action film starring Richard Burton, Clint Eastwood, and Mary Ure. 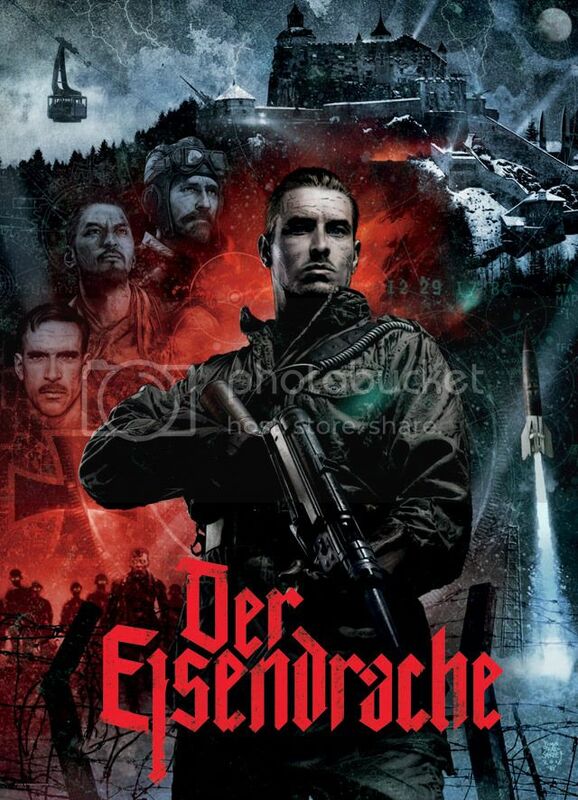 It was directed by Brian G. Hutton and shot on location in Austria and Bavaria. 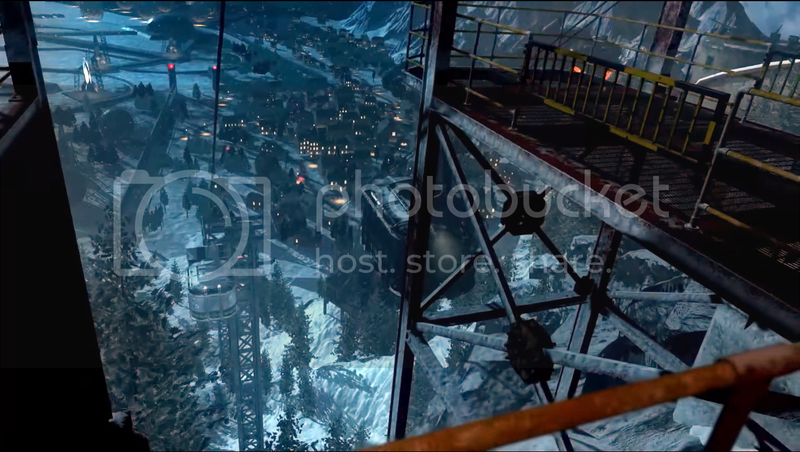 Hohenwerfen was used as the castle 'Schloss Adler' in the 1968 film Where Eagles Dare, although the cable car scenes were filmed using the Feuerkogel-Drahtseilbahn in Ebensee as Hohenwerfen Castle has no cable car. Three-Round burst Pistol. Fast burst cycle rate. 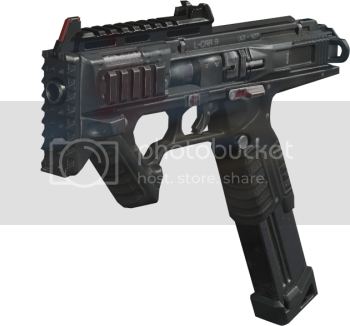 A quick killing, quick firing burst Pistol, the RK5 can one-burst kill at very short range, or finish off a damaged target in one burst. However, it has the worst magazine capacity of the Pistols, so it can get you in trouble against more than one target! Semi-auto marksman Assault Rifle. Eliminates enemy infantry in two shots. 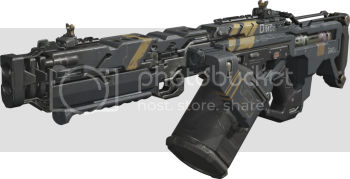 A powerful marksman Assault Rifle, the Sheiva is a cut-down Sniper Rifle in many ways. With the High Caliber attachment, you can down enemy players with a single headshot at shorter distances. 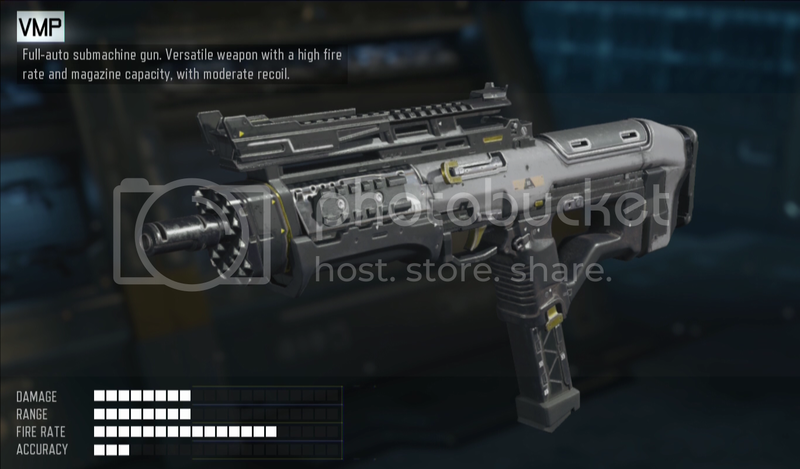 The Sheiva has worse handling characteristics than other Assault Rifles, with very slightly slower ADS times and slow reloads. Because of these traits and the low rate of fire, stay out of CQC. The Sheiva is a tack driver at any range, so its pinpoint accuracy serves you well if you can keep your enemies at range. 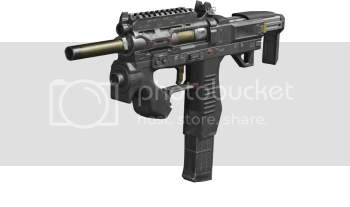 Full-auto machine Pistol. Medium fire rate with modest damage. 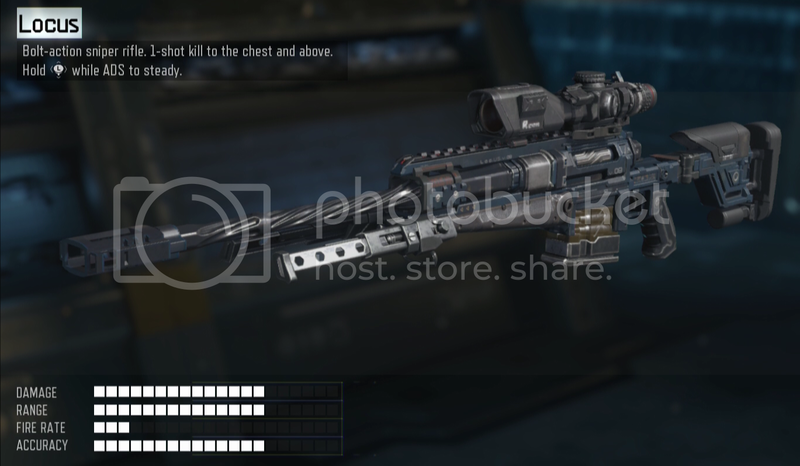 The slowest ADS time of the Snipers, it also has commanding power, capable of one-shot kills anywhere above the hips. If you prefer staying at long range and picking your targets and lines of sight carefully, this is your best choice among the Sniper Rifles. Pump-action Shotgun. One-hit kill against enemies in close quarters. A reliable and powerful Shotgun, the KRM-262 is the easiest of the four to use up close and on the move, whether hipfired at very short range, or ADS at targets near the edge of its effective range. However, it pays for this ease of use with the lowest reliable range for one-shot kills, so always be ready for a follow up shot if you think they may be on the fringe of your effective range. 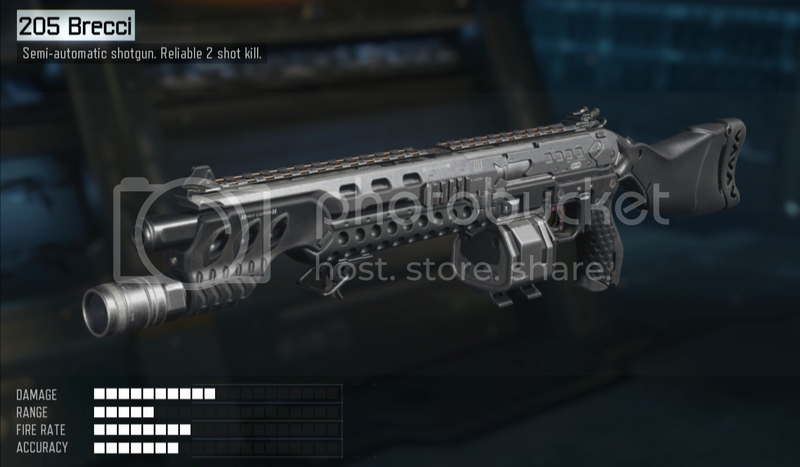 Unlike the other Shotguns, the KRM-262 is reloaded one slug at a time, which can be beneficial if you need to cancel a reload and take a shot at a sudden surprise attacker, but you don’t have the ability to fully refresh your load in one go. Full-auto Submachine Gun. Steady fire rate with balanced recoil. 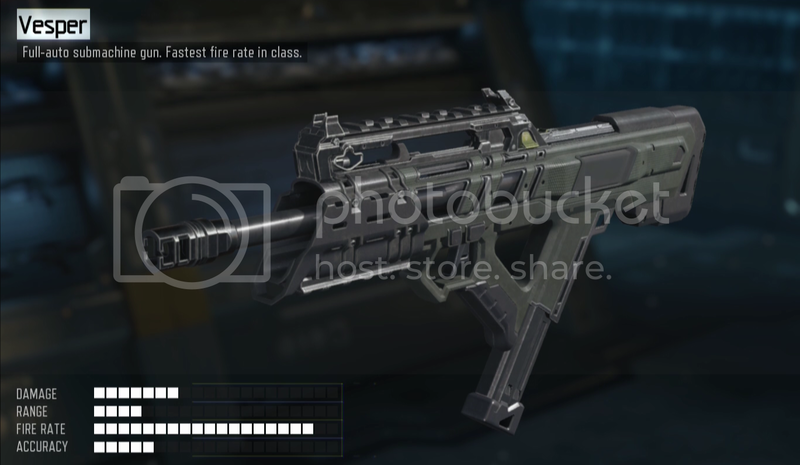 An all-around performer, the Kuda has the only three-shot kill potential of the SMGs (albiet at very short ranges), and maintains its four-shot kill potential out to the best range, as well. The Kuda has a moderate fire rate and recoil, making it a controllable weapon, but its range actually causes some awkward problems. At very close range, its killtime is good, but it’s then eclipsed by other SMGs until the tail end of its four-shot kill range. 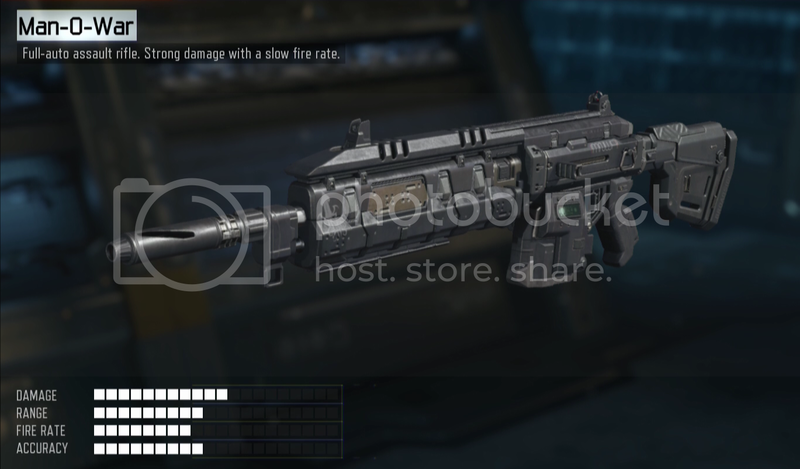 To perform best with this weapon, you must be very aware of distances on different maps, and control engagement ranges carefully. 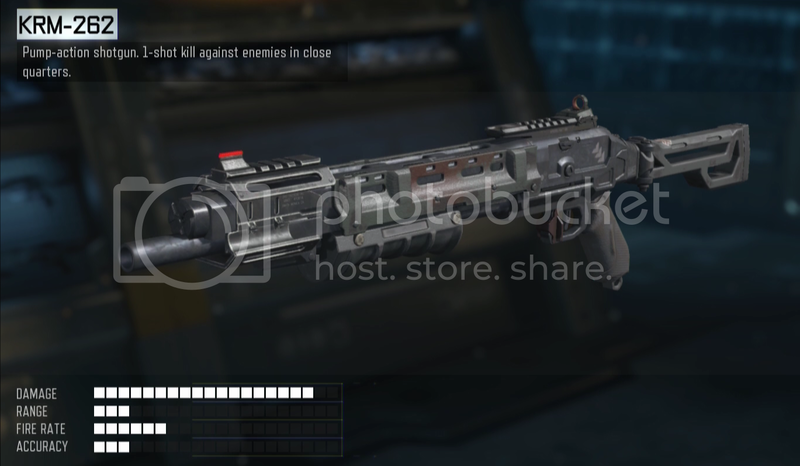 Using a Suppressor and a Long Barrel is a viable option to stay out of reach of the VMP, Vesper, and Weevil, and get in close off the radar for very short range kills. Full-auto Submachine Gun. Fastest fire rate in class. A true bullet hose, the Vesper has the best kill times up close in the SMG class. 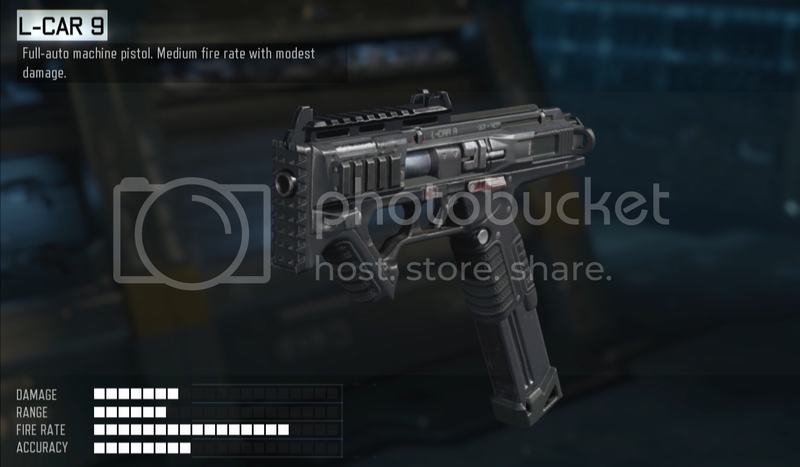 It also boasts the highest potential to be customized into a hipfiring CQC beast. The Vesper suffers from intense recoil and rapid damage falloff, though, making it a very poor choice for engaging at a distance. Given its limited range to begin with, silencing it with a suppressor and forcing close range engagements is a good way to maximize its strengths. Full-auto Submachine Gun. Strong damage output at the cost of a smaller magazine. A slightly less intense cousin to the Vesper, the VMP has good killtimes up close, but maintains its damage slightly better at a distance. The VMP still has strong recoil, but it is predictably up and to the left, which you may find manageable with some practice. Four-round burst rifle. High cycling rate of fire with minimal recoil. 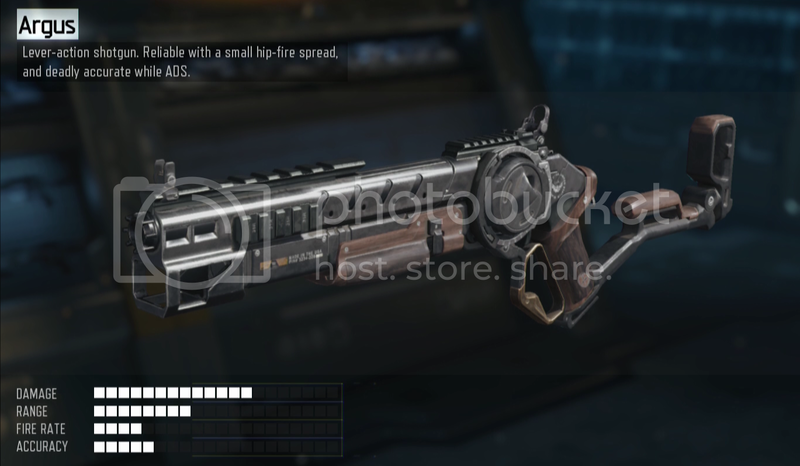 A powerful burst weapon, the M8A7 has controllable and predictable vertical recoil, and can kill in a single burst out to long range. Because of the M8A7’s recoil pattern and high rate of fire, it is particularly lethal against stationary targets, making it a strong weapon against players camping behind cover or in windows at a distance. The high cyclic rate does demand rapid trigger presses to fully utilize, which makes it slightly more challenging than the XR-2 to control while fighting on the move. Full-auto Assault Rifle. Fast fire rate with moderate recoil. 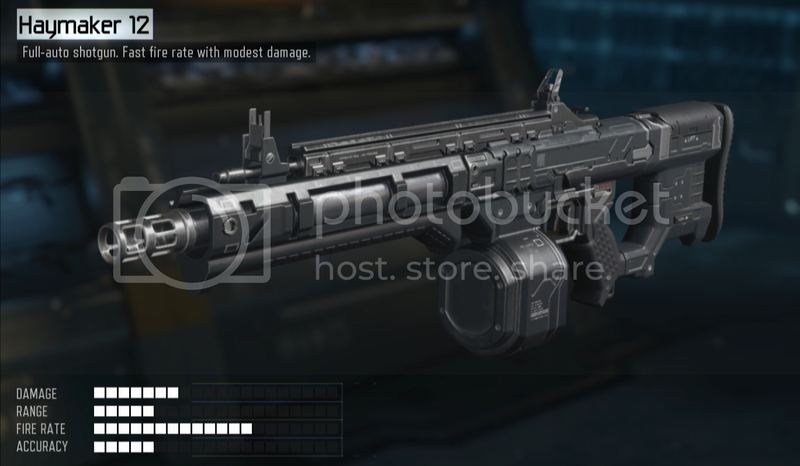 A well rounded Assault Rifle, the KN-44 has three-shot kill potential at short ranges, never drops below four. 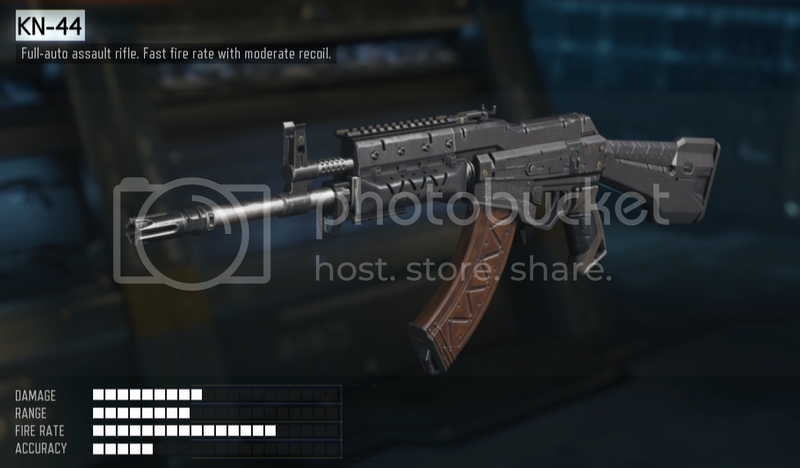 With a fire rate second only to the HVK-30, it’s an effective weapon if you can control its moderate recoil, which kicks left and right. 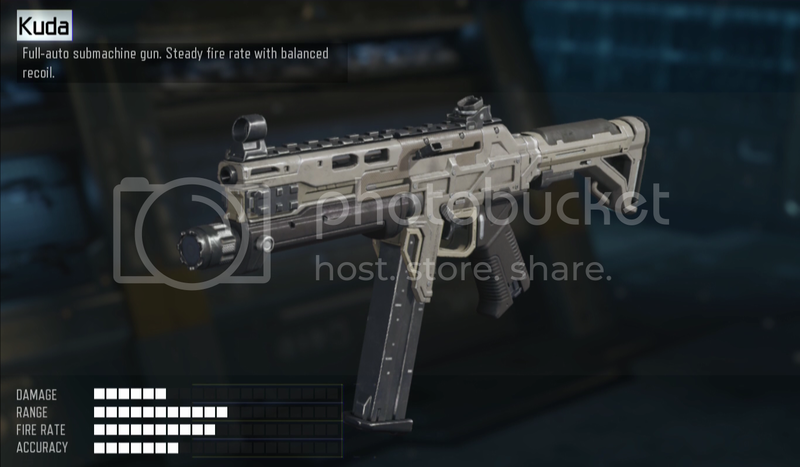 Customized with CQC attachments, the KN-44 performs well at short range. 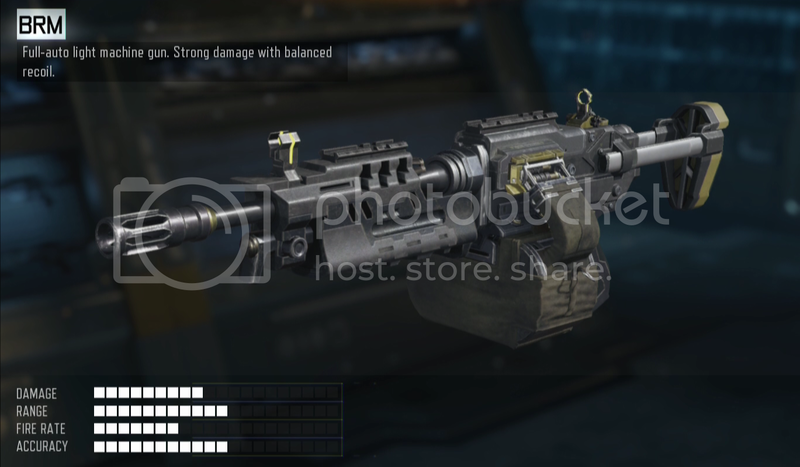 With ranged attachments, it works out to a medium distance as long as you can handle the recoil. Full-auto Assault Rifle. Fastest fire rate in class. The bullet hose of the Assault Rifle family, the HVK-30 has the best fire rate, which it pays for with the worst damage profile among its Assault Rifle siblings. 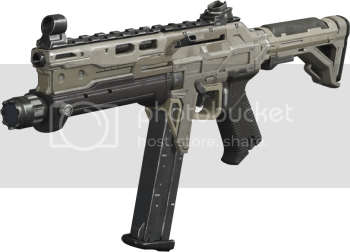 You may wish to embrace its RoF advantage fully, and make use of Rapid Fire and High Caliber to boost its killtime. Just be aware of the cost to long range accuracy and use controlled bursts at a distance. Full-auto Submachine Gun. Large magazine capacity with modest damage. With middle of the road damage for the SMG class, the Weevil is also in the middle in terms of recoil, with strong vertical recoil, but less wildly out of control than the VMP or Vesper. It’s still more intense than either the Kuda or Razorback, so if you engage at a distance, make those extra bullets count and don’t let up until your target is down. The Weevil excels at engaging multiple targets in a row without needing to reload, make sure you don’t reload unnecessarily early when using the Weevil! 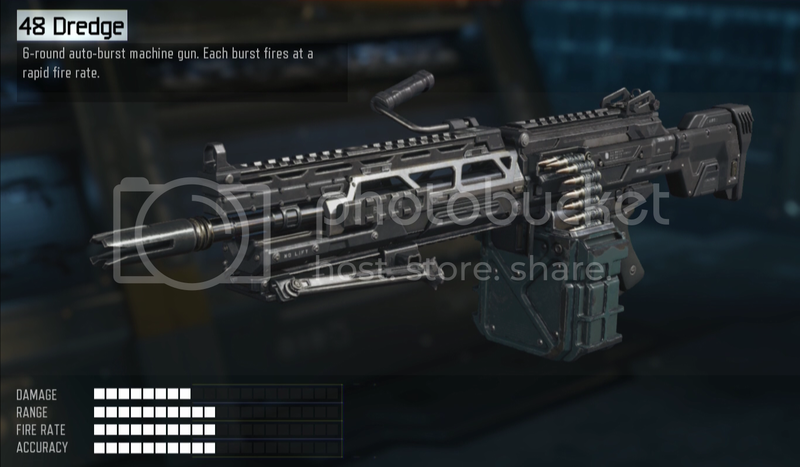 Four-round auto-burst SMG. 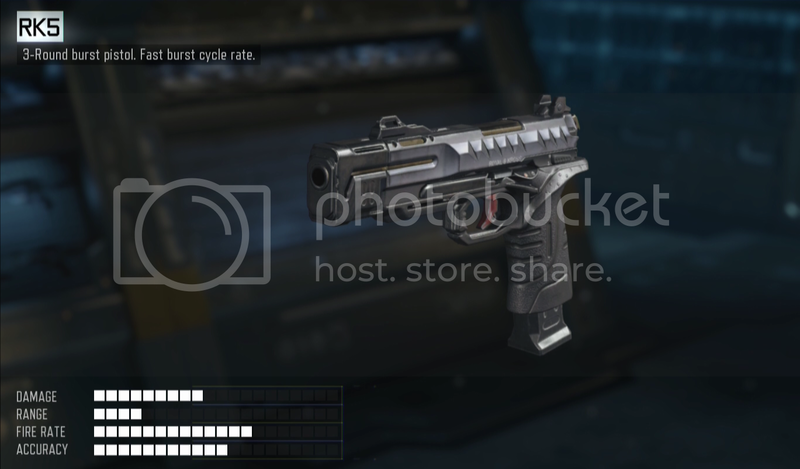 Reliable damage and accuracy, cycles burst automatically by holding the trigger. 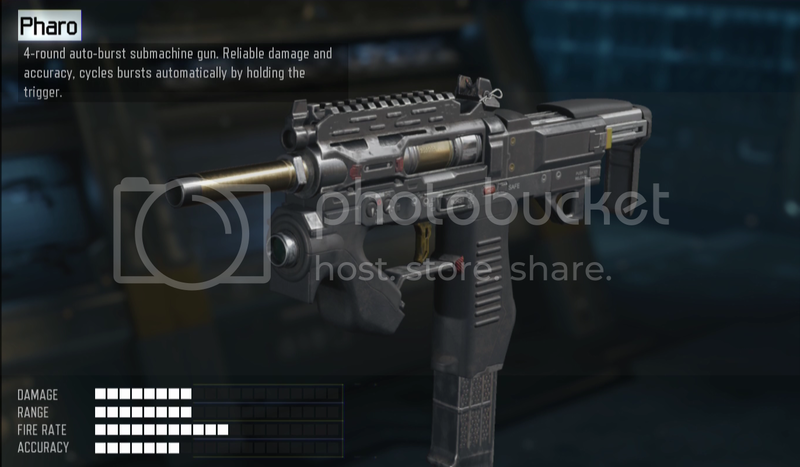 A unique SMG, the Pharo fires auto-bursts like the XR-2 and the 48 Dredge. The Pharo has quite good killtimes, even at a distance, so if you can get used to its rhythmic cycling and up-left kick, the Pharo can perform quite well up close or at a distance. Full-auto Assault Rifle. Strong damage with a slow fire rate. The high damage option, the Man-O-War can kill with three shots out to a great distance, at the cost of a slower rate of fire. Keep your enemies at arms-length with this weapon to make it perform well. The Man-O-War also has a distinctive kick up and to the left, which can be a benefit if you’re more comfortable compensating for predictable recoil in one direction (vs. the left/right bounce exhibited by the KN-44 and HVK). 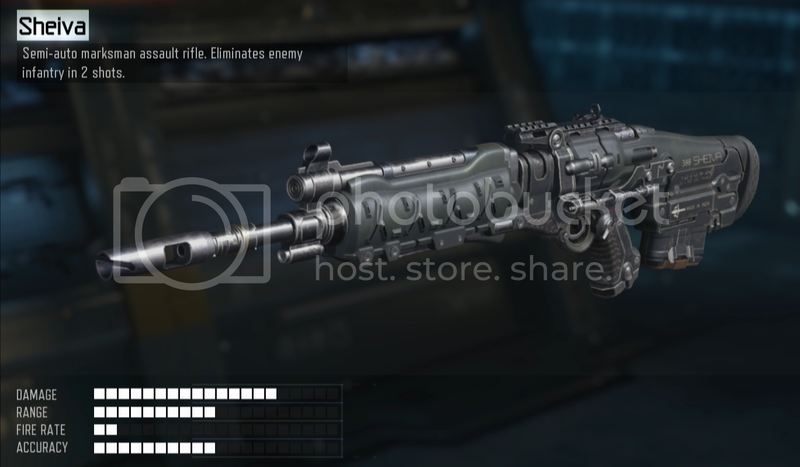 Fully automatic Assault Rifle. Modest damage with minimal recoil. The most accurate of the full auto Assault Rifles, the ICR-1 is surprisingly stable, and with a Grip attached, is competitive at long range. 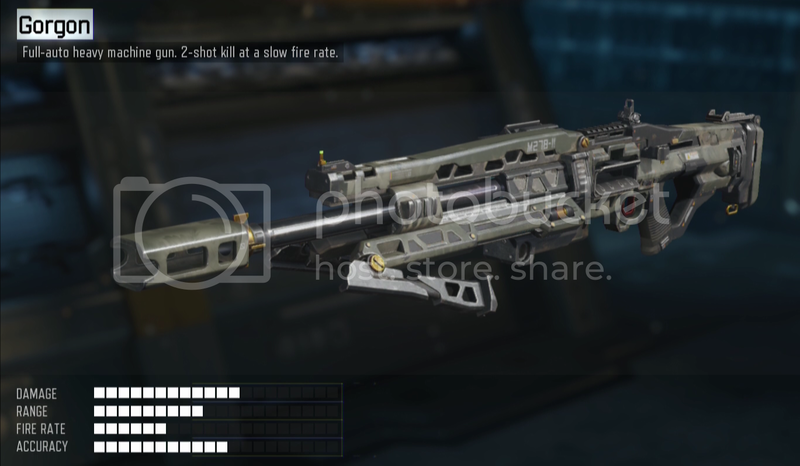 The ICR-1 has average damage for the class, starting at four and dropping five shots only at long range. Semi-automatic Shotgun. High damage and range, best used when aiming down the sight. A mix between the KRM-262’s brute force and the Argus’ superior range, the 205 Brecci works best when ADS at targets that are outside the KRM’s easy hipfire kill range. Lever-action shotgun. Highly accurate buckshot spread, extremely effective when aiming down the sight. 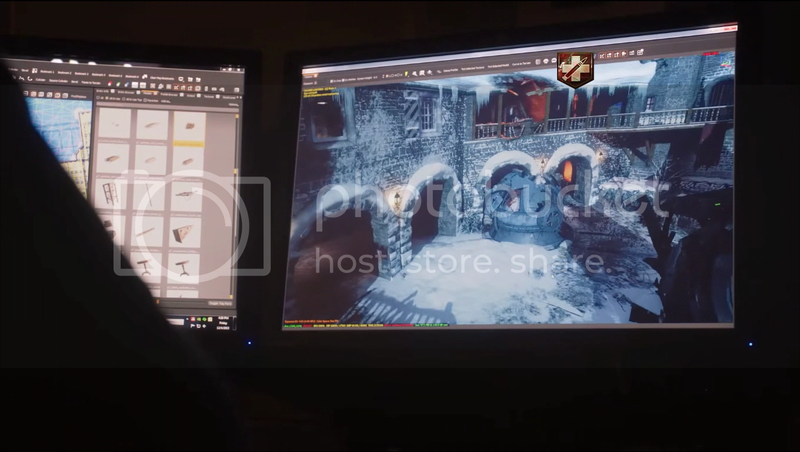 A slug firing Shotgun, the Argus demands ADS usage and good accuracy. In exchange, you get the best range potential of any Shotgun, still capable of one shot kills up close, and with headshots, at an even greater distance. Fully-automatic Shotgun. Fast fire rate with modest damage. A bullet hose of a Shotgun, the Haymaker 12 trades off instant lethality for extreme ease of use. Hold the trigger down and keep your crosshairs on target to drop an enemy very quickly. Don’t bother trying to line up for a perfect shot; just get the lead on target ASAP! Full-auto Light Machine Gun. Fast fire rate with moderate recoil. 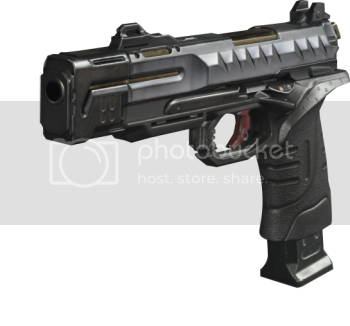 The Dingo has a higher rate of fire than the BRM, but it pays for this by requiring an extra shot to kill. It also has slightly more intense recoil and a smaller magazine. Make use of the Dingo at shorter ranges than the BRM to benefit from its slightly improved TTK, and avoid the difficulty of wrangling its recoil to score the extra hits at a distance. Full-auto Light Machine Gun. Strong damage with balanced recoil. A powerful weapon, the BRM can kill in three shots out to extremely long range. With only moderate recoil, it’s accurate enough to get those shots on target reliably. The BRM’s time to kill is eclipsed by CQC focused weaponry, but at the middle distances, it is dominant over all SMGs and most Assault Rifles, as well. Take advantage of this weapons generous ammo and good penetration to keep the bullets raining on any target trying to hide behind, or duck in and out of cover. Six-round auto-burst machine gun. Each burst fires at a rapid fire rate. 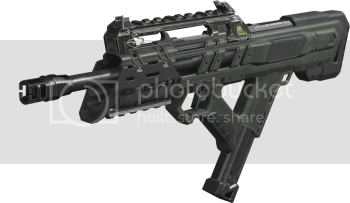 A six-round burst LMG that auto-cycles as you hold the trigger, the 48 Dredge has a very high rate of fire within the burst. 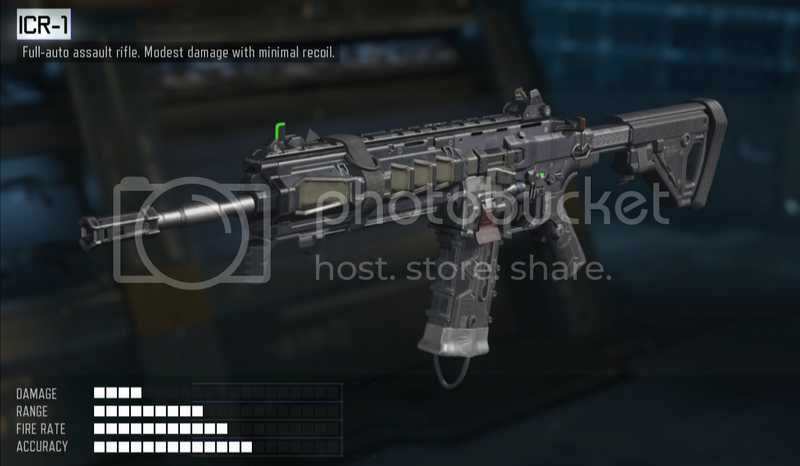 If you can manage the vertical recoil, it can kill extremely quickly, on par with the burst Assault Rifles. Full-auto Heavy Machine Gun. Two-hit kill at a slow fire rate. 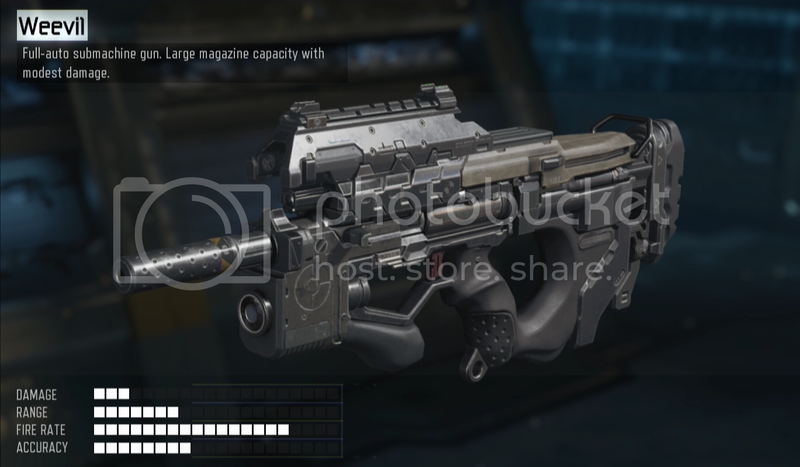 The hardest hitting automatic in the game, the Gorgon can kill in two shots out to extreme range, and still manages pinpoint accuracy due to its low rate of fire. This power is reined in by that rate of fire, though, as you will find it cannot compete with dedicated CQC weapons up close. 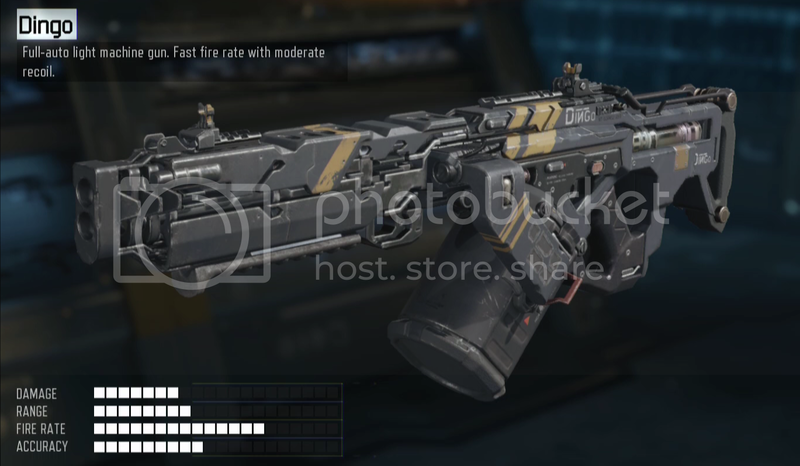 It also still loses to most Assault Rifles at a medium range if they are on point with their accuracy. Bolt-action Sniper Rifle. One-hit kill to the ribs and above. 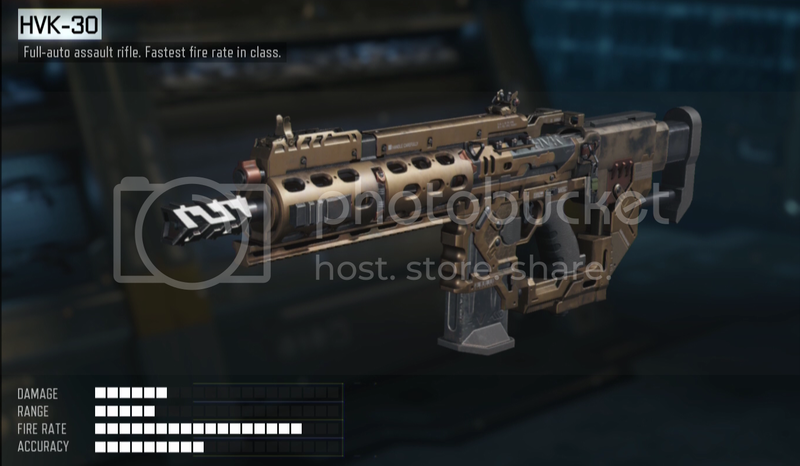 The fastest handling of the four Snipers, the Locus has the best ADS time, making it the quickest of the four for rapid on the move shots. With good one-shot killing potential, if you are confident in your accuracy, the Locus works well for mobile combat, quickly scoping in to down targets and moving again. Semi-auto Sniper Rifle. One-hit kill to the upper chest and above. The fastest firing Sniper, it has the weakest damage profile, requiring an upper chest hit to score the one-hit kill. However, with its high rate of fire, it’s actually the best candidate of the Snipers for suppression—you trade off one-shot kills for the ability to silently take down targets at great range in two quick shots. 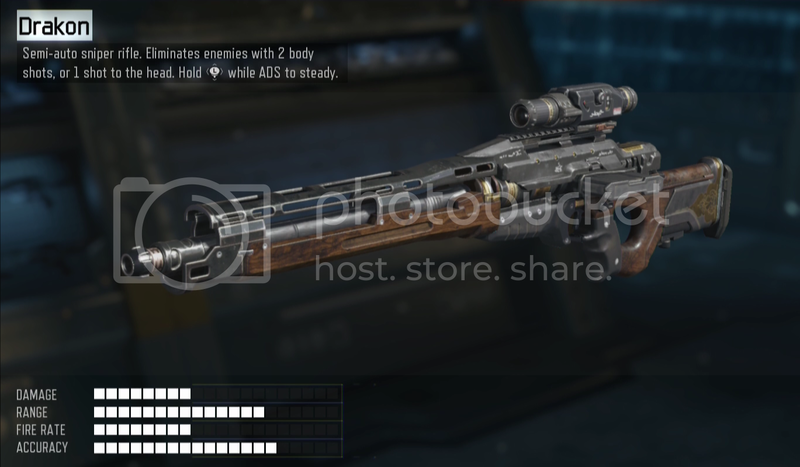 Bolt-action Sniper Rifle. High damage and zoom, with reduced handling speed. 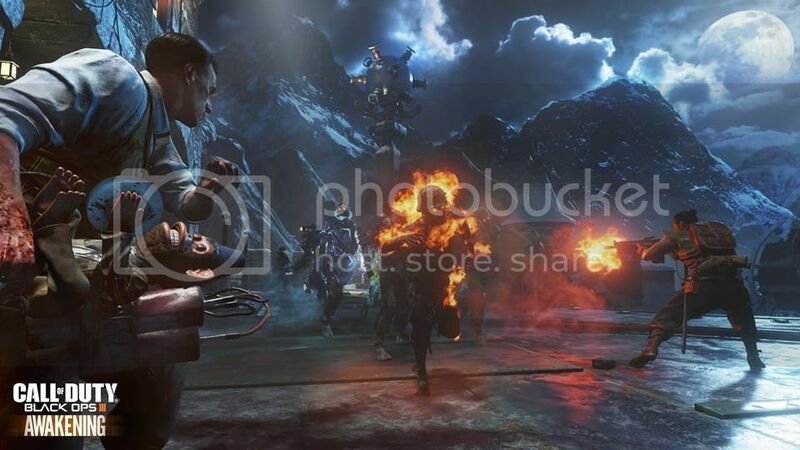 Feed the 3 Dragon heads Zombies to unlock the "Wraith of the Ancients"
To upgrade a bow into 1 of 4 elemental Bows, shoot the corresponding symbol to "Bind to Upgrade Quest"
AFTER THE SUCCESS AT THE RISING SUN FACILITY DIVISION 9 IS MOVING WITH PHASE 2. THE ISLAND FACILITY IS NOW OPERATIONAL AND INITIAL TESTING UNDERWAY. SRGTD THADH HMOCK ESTAE TOWHS ATST. VERAN YERLW ANTIE ANHUS FOWHI AEGH. The last test subject, the Mexican, died, but during the autopsy I have discovered the key to create the army that we seek. We are now ready to capture the four subjects identified in report forty four. 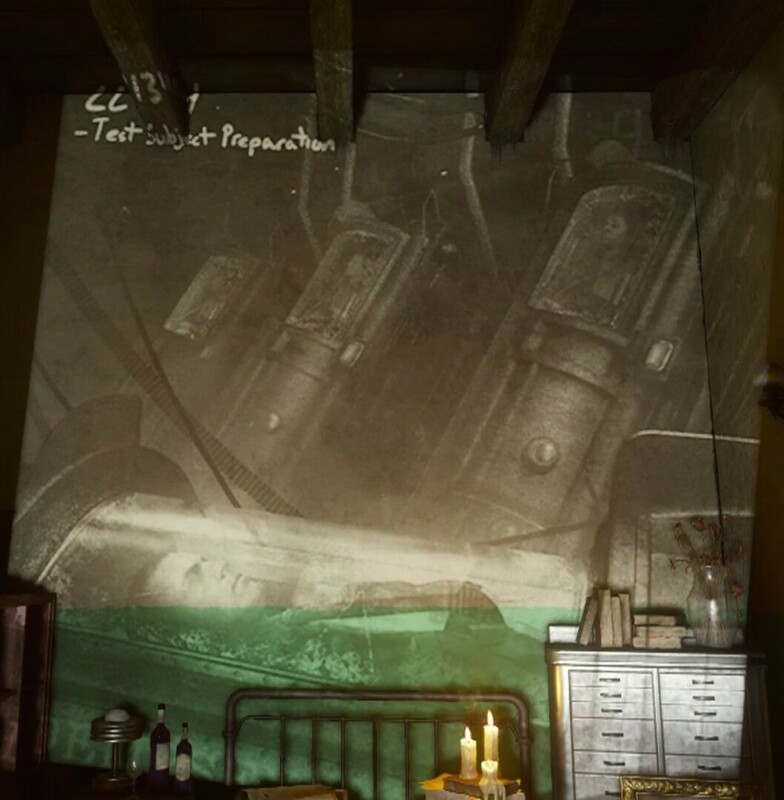 Dr. Groph: Given that it is now over two weeks since contact was lost with Dr. Richtofen, along with the fact that all intel would appear to suggest that the Der Riese facility itself may have fallen to the enemy, I am forced to take drastic action. As of now, and for the foreseeable future, I have decided to assume full operational commands of Group 935. All further tests involving the MPD are on hold until such times that we can guarantee the safety and security of all personnel currently based at Griffin Station. So it pains me to say, we have to assume that Operation Shield is unlikely to succeed as originally planned. Dr. Groph: Our allies in Division 9 have made great strides with their own research and development, though I must confess to having had my own doubts regarding the feasibility of their more... ambitious weapons designs. Successful field trials suggest that we may be able to deploy the specimen as early as this winter. Assuming progress remains on track, we may finally be able to break the stalemate of the Eastern Front. Dr. Groph: I have a very good memory. 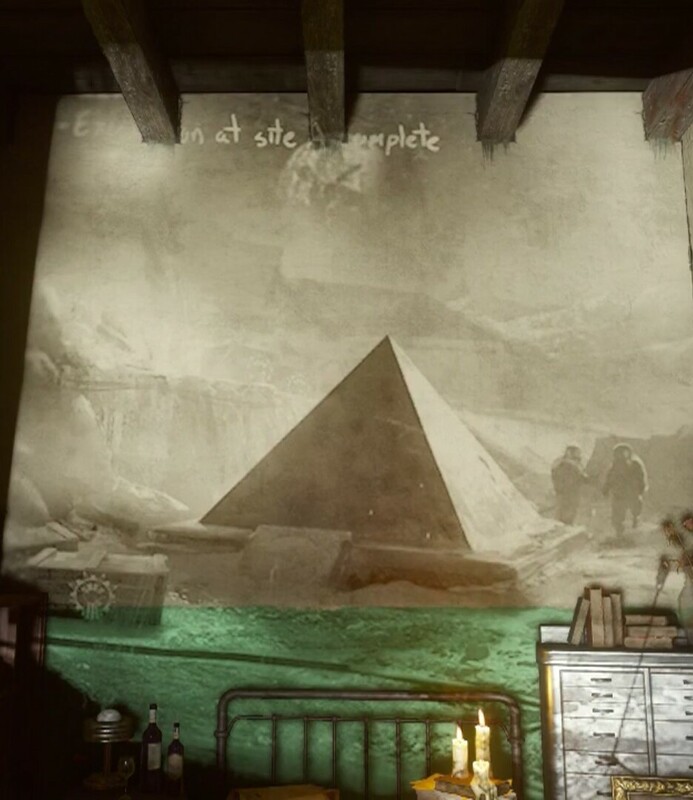 At least, that is what Richtofen's said on more than one occasion. Myself, I am not so sure. Recent events have led me to conclude that exposure to the MPD may in fact be corrupting and clouding our cognitive processes. 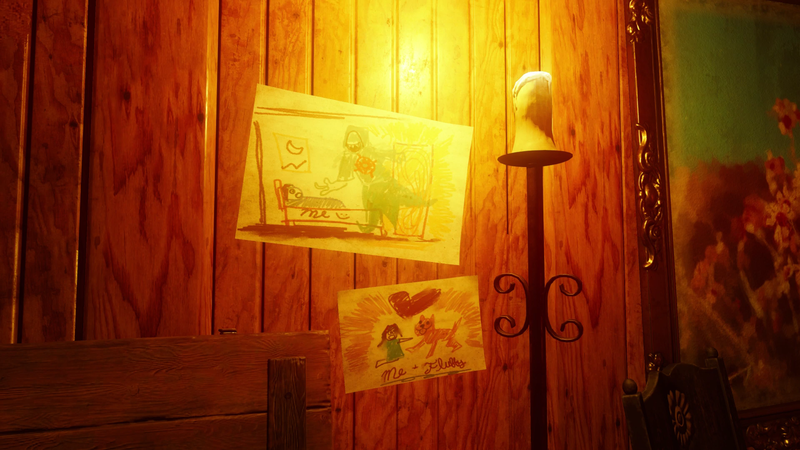 Speaking to my own, personal experiences, I am reminded that I had a dream of Maxis’s daughter, Samantha. The child may have been a frequent visitor to Eagle’s Nest, but the idea that she could be here on Griffin Station, the Moon, defies explanation. It is essential that we re-establish contact with Eagle’s Nest in order to fully understand our current... predicament. Dr. Groph: Group 935 has defied all those who doubted our cause! Dr. Groph: With the discovery of Element 115, we've achieved so much. Our weapons program alone has advanced beyond even our wildest expectations! Dr. Groph: Furthermore, the fact that we have been able to establish a permanent base of operations on the Moon itself leaves me filled with optimism for the future! We can, literally, do anything! 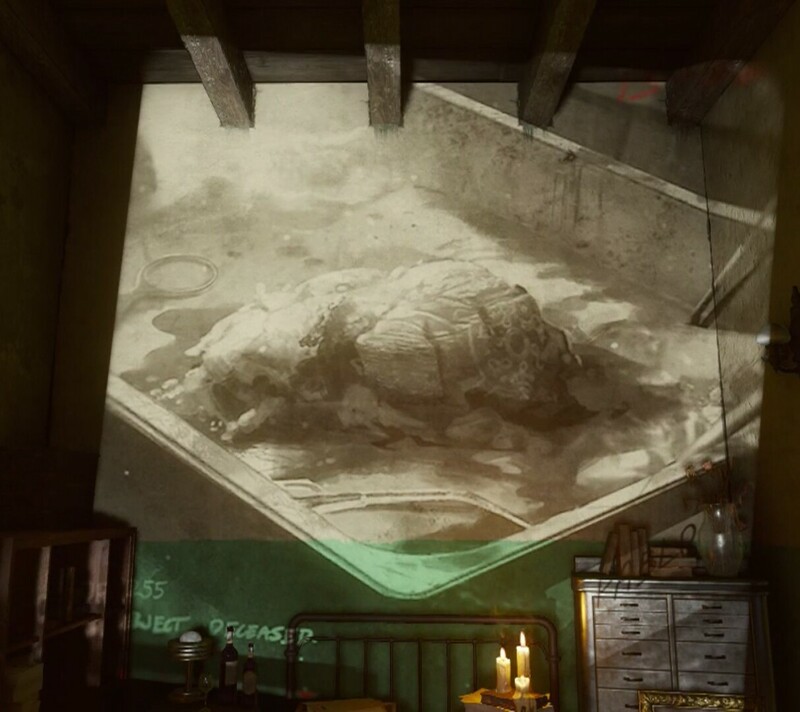 Secret Song - "Dead Again"
To activate the Secret Song titled "Dead Again", you must press the Action Button on 3 Teddy Bears located around the Map. Main Quest - "My Brothers Keeper"
Similar to Origins, "Hall of Ancestors" where we are introduced to Giant Stone Statues of our beloved O4. Der Eisendrache, houses a similar tomb, with Giant Stone Statues. Not really sure this fits in with the OP @PINNAZ but I tried. We have discovered that there are beings that can travel between dimensions without the aid of teleporter. The last test subject, the mexican, died, but during the autopsy I have discovered the key to create the army that we seek. We are now ready to capture the four subjects identified in report forty four. 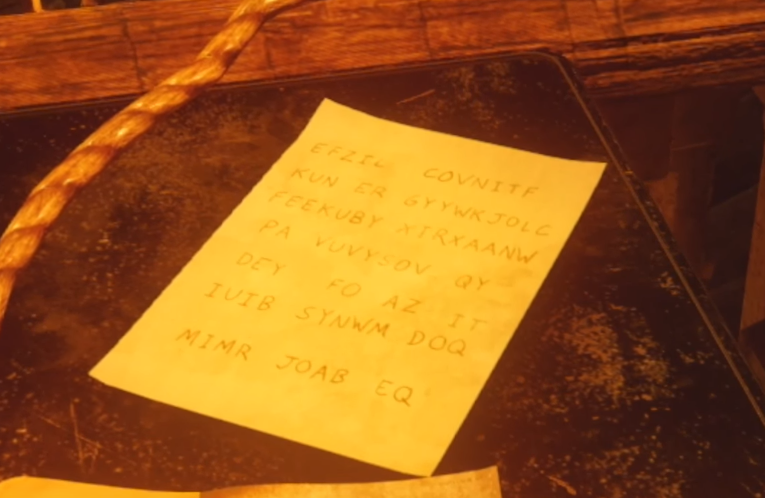 Do you know what type of ciphers they are? "AFTER THE SUCCESS AT THE RISING SUN FACILITY, DIVISION #9 IS MOVING WITH PHASE #2. THE ISLAND FACILITY IS NOW OPERATIONAL AND INITIAL TESTING UNDERWAY." Note that the first one in this post is using the Flag Semaphore language, which is basically to say that all of those are boat signals and the way to figure out that we are going to an island is by looking at boat signals. I love it. As for the others, the first is Base64, third is playfair, and fifth is the Flag Semaphore. 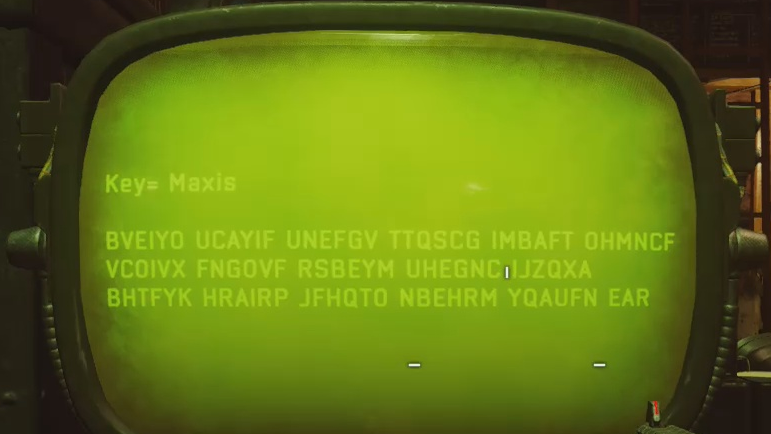 EDIT: The green Maxis cipher was identified as Bifid and has been solved. "FATHER INTRODUCED ME TO A NEW FRIEND THAT JUST ARRIVED HIS NAME IS EDWARD HE IS NICE BUT HE DOESNT LIKE TO SHARE THE TOYS." You want some books ? I'll add them asap. Thank you so much. Feel free to post whatever you think would be of interest. Afterall, I'm just trying to Document EVERYTHING! I'm on X1 so this thread will be slowly updated as I won't have the resources myself. 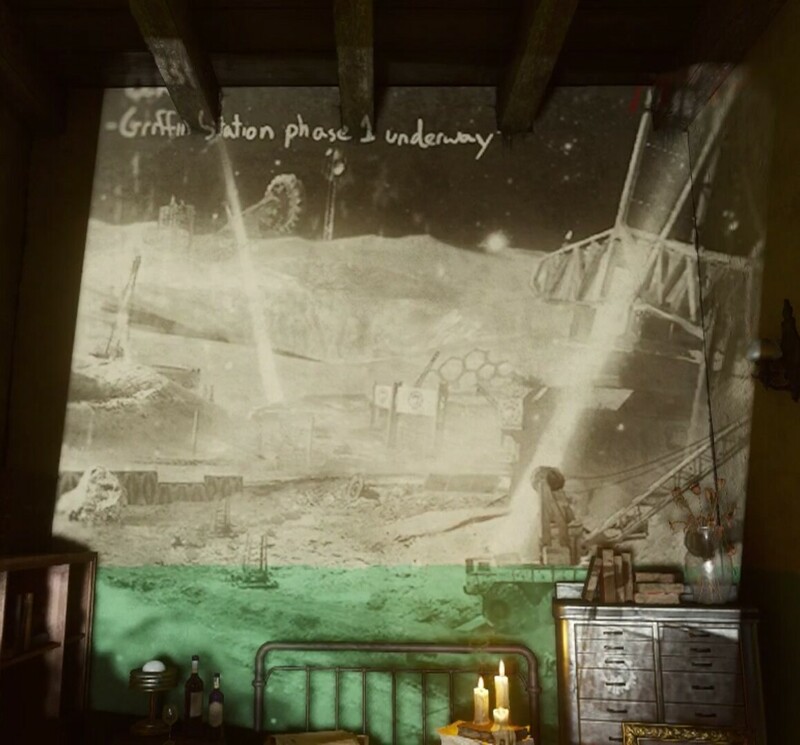 There are also several notes/newspapers and images of Griffin Station/Area 51. 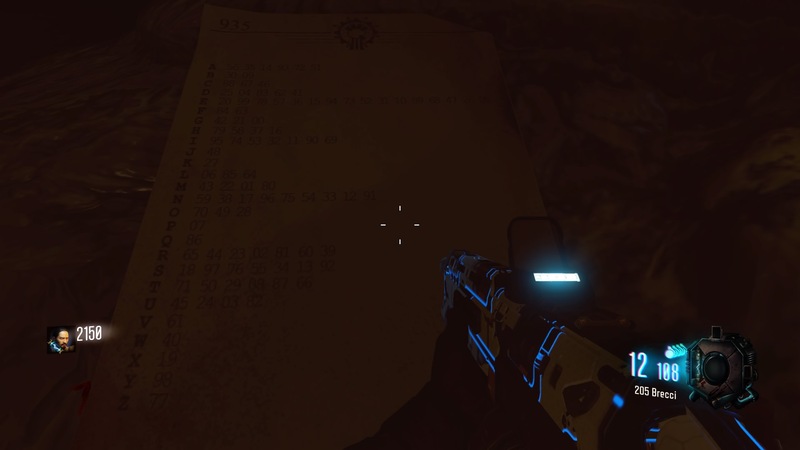 Hey I was wondering have ye found this cypher yet? 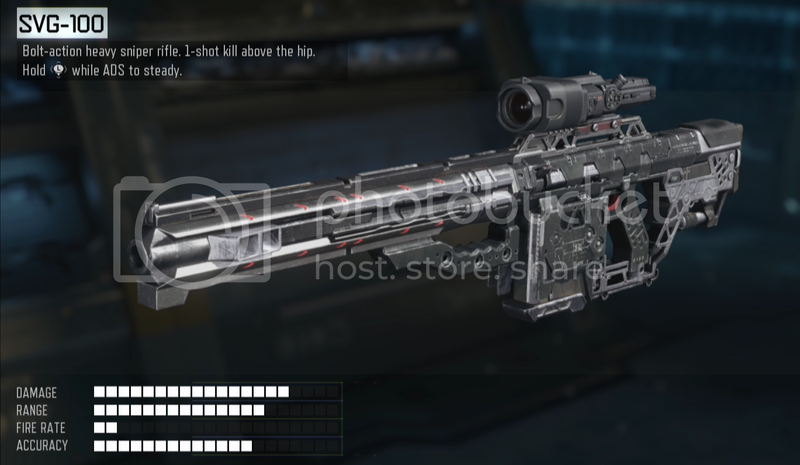 I haven't being able to get a sniper to look at it yet tho. 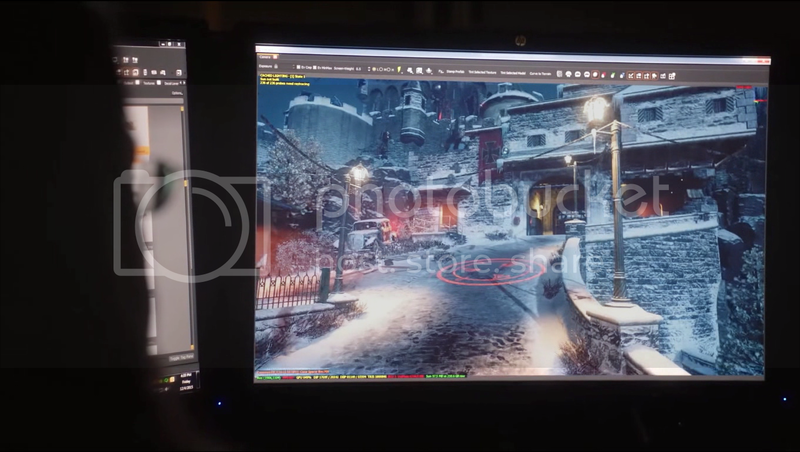 It is under the rocket behind the mesh wire in the bottom left.PS sorry if this is in the wrong thread, I couldn't find anything like this thread related in the search. 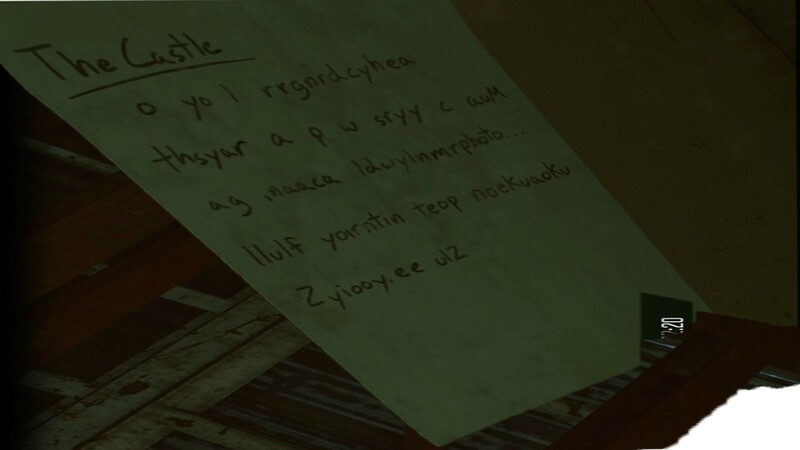 I don't think it has been found, grab a pic! EDIT: @Schrödinger and @PINNAZ, here's the posters translated. EDIT 2: Two paintings (1, 2) complimentary of @BlindBusDrivr. The paintings changed from match to match. Might want to add to the songs the one that plays after hitting all three gramophones. It is really "Time Period" appropriate. One in Sam's Room, One in Mission Control, and One in the "NPD" room. Also shooting the orbiting spheres on the ceiling will trigger a disco ball effect, and some disco music. Its repeatable, and can only be noticed while in the room, it is the compter room that has speed cola, and a dragon head. 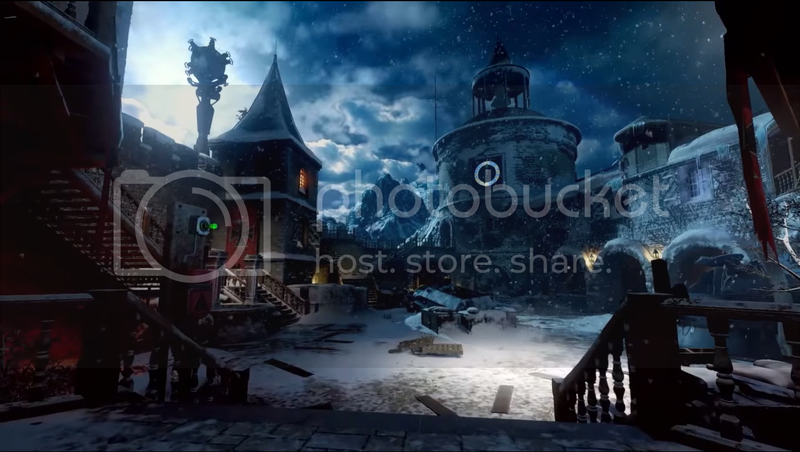 So far Ive only seen it activate via Raygun, and the blue bow, guessing its ice? Its the bow that has the wolf spirit steps. 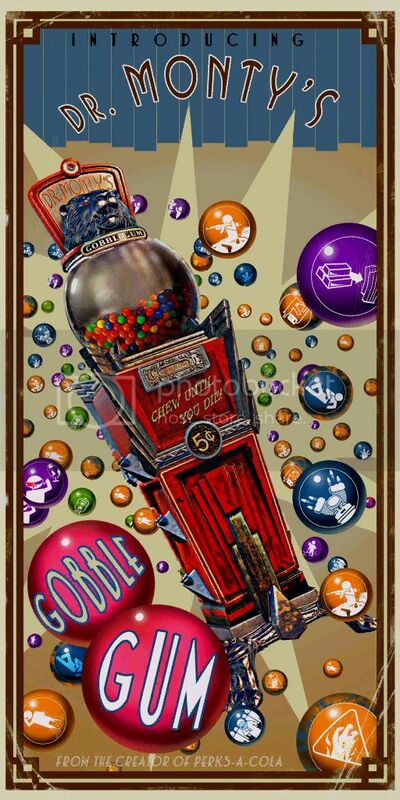 Don't forget "Lost Ghost Towns of the Old West" (via @BlindBusDrivr). 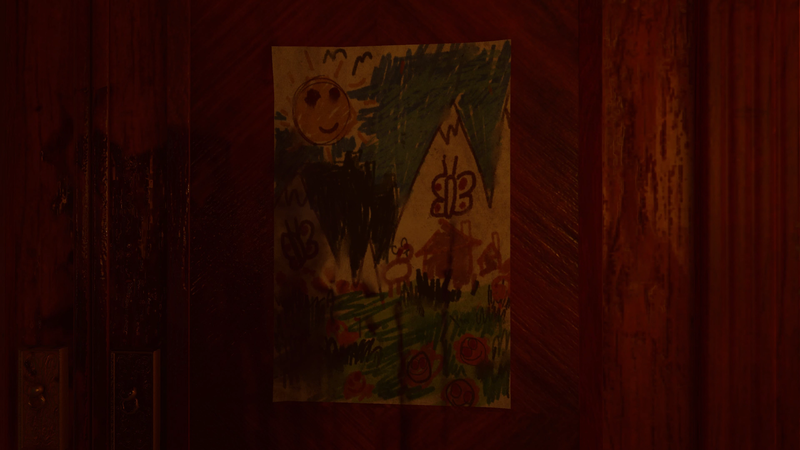 With this and the Buried painting, it looks like this town originated in this universe! Eagle's Nest, this is Griffin Station, come in. 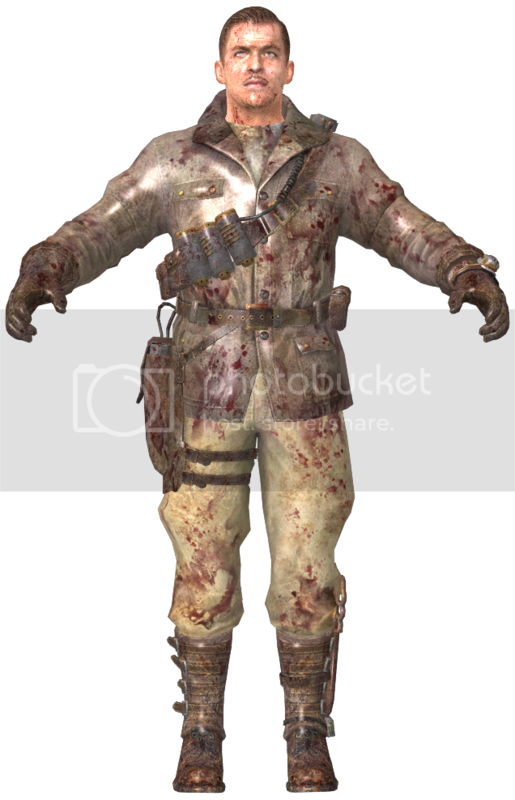 Richtofen! Is that you?! When we didn't hear from you, we feared the worst! Eagle's Nest, this is Griffin Station, we have an update, over. Ja, doctor. The machine is ready and awaiting the conduit. 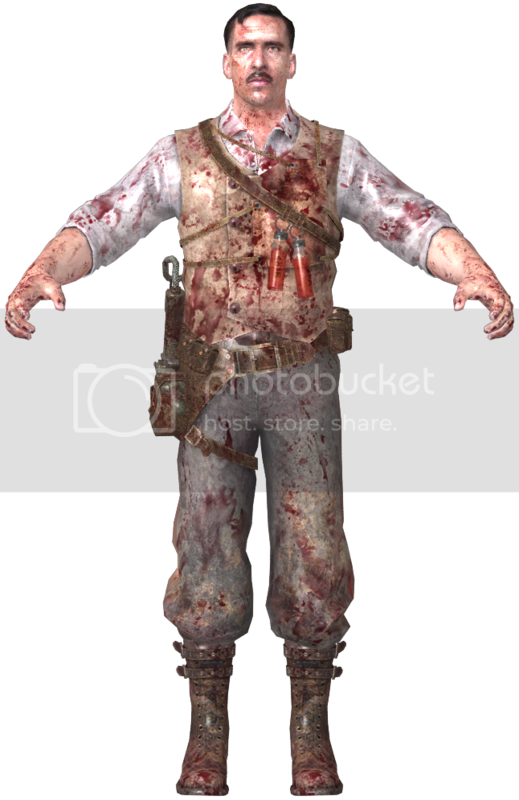 Richtofen! The security feeds are somewhat alarming! What on earth is going on down there? 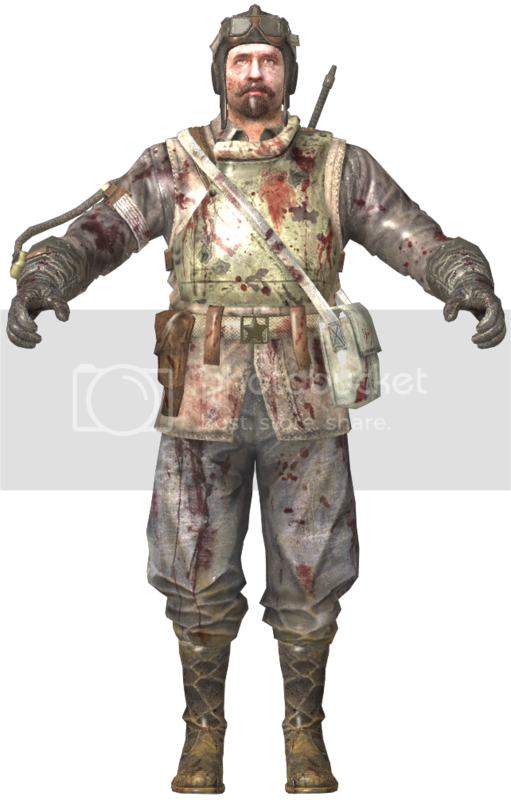 Richtofen. I'm observing your current actions. I must confess to being... alarmed. Would you care to explain exactly what you are doing with a company of our ennemies? 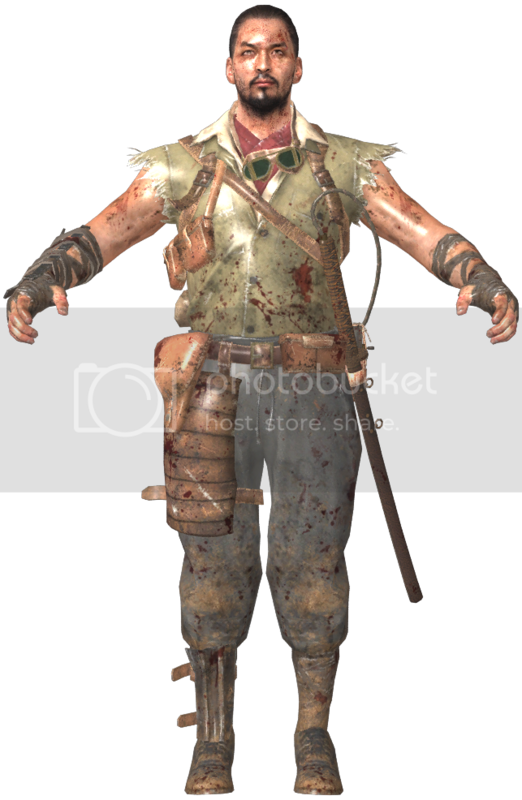 Richtofen?... 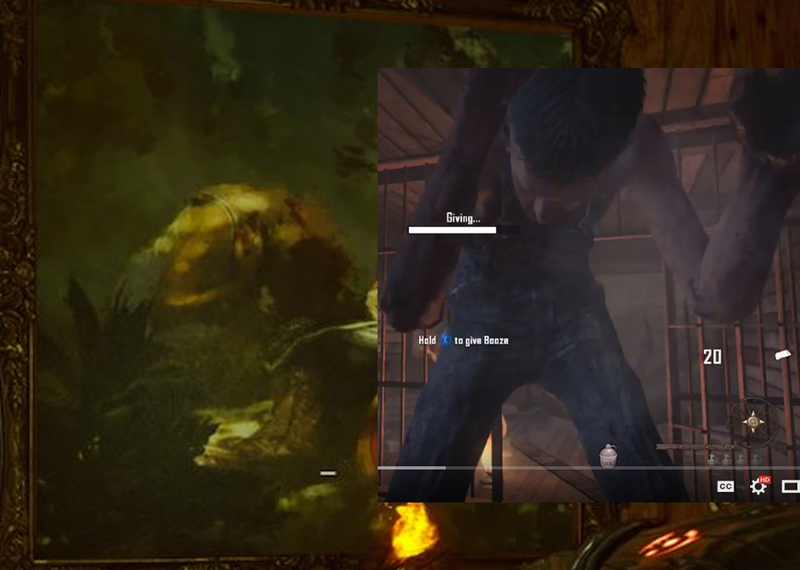 Richtofen!? I can only assume that you intend to procure Group 935's research for your own twisted goals. Know this, my old friend. I will take whatever steps are necessary to ensure that you never leave the castle alive! 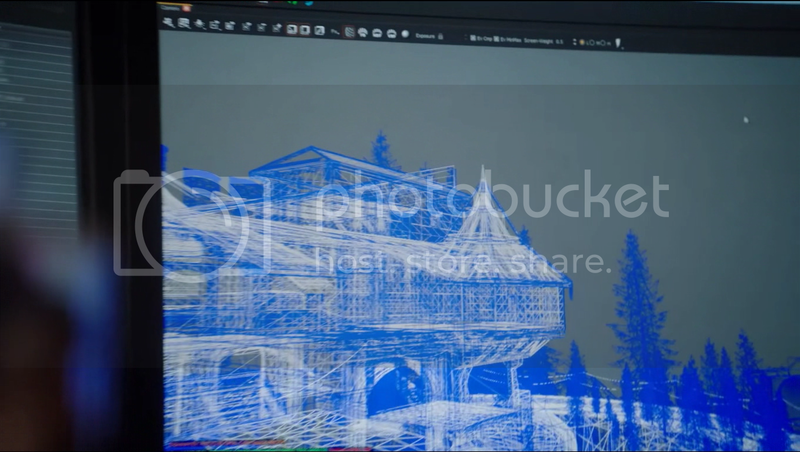 Personal insights aside Richtofen, I can assure you that the progress made at our lunar facility has only served to accelerate our plans. I have no doubt that the discovery of the M.P.D. will prove vital to decide the outcome of the war. 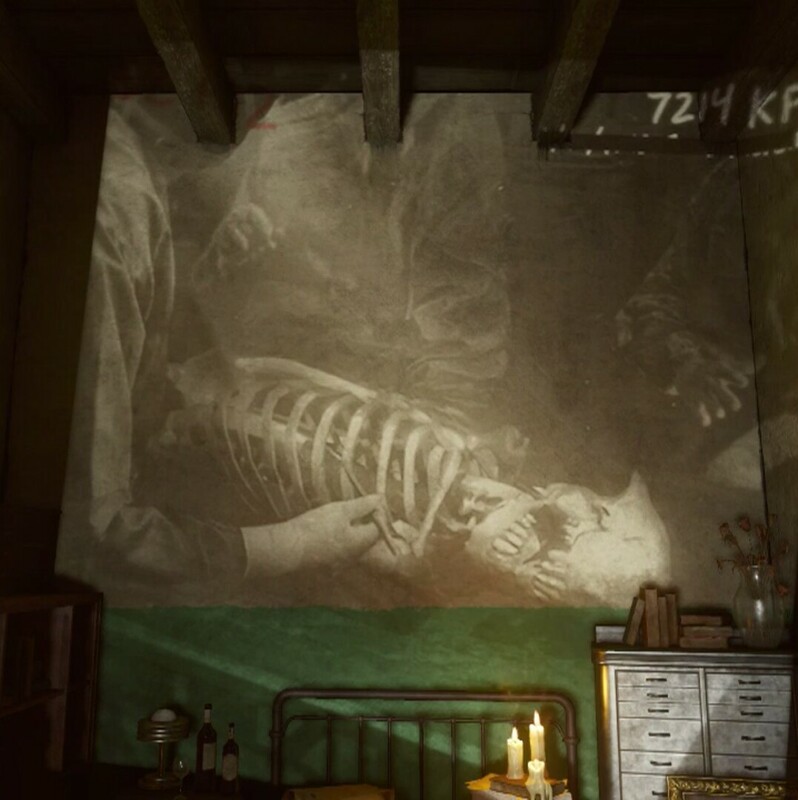 I know you can hear me Richtofen, even if you chose not to respond, though I do not understand how or why, I believe you are in fact an enemy spy. More than that, you may in fact be an imposter. I strongly suggest you stop pursuing this foolish and dangerous endeavor! 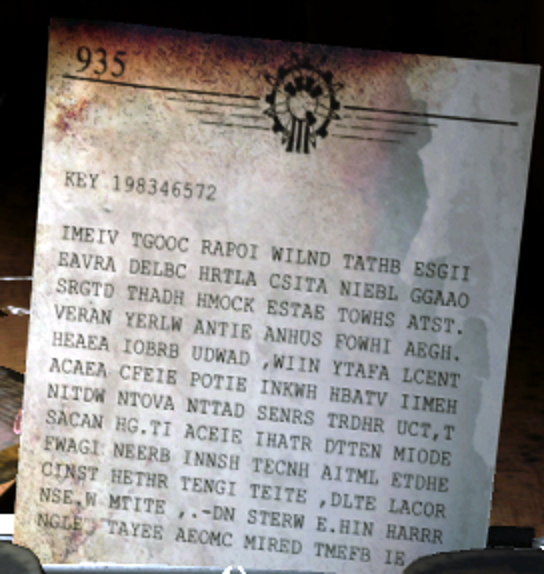 Richtofen, whoever you may be, I do not know your intentions, but make no mistake. I will not allow you to succeed! I have activated the emergency containment field to protect the test subject's cryo chamber. Your continued defiance, is an exercise in futility, that will result only in your own demise! Grrrr.... augh! Mein Gott! Attention all stations! We have a security breach! We have a Keeper manifestation in the facility! The MPD is under threat! Don't come any closer! Stay Back! It is clear to me that one of your group is in fact the american test subject, the test subject currently bound for Griffin Station. 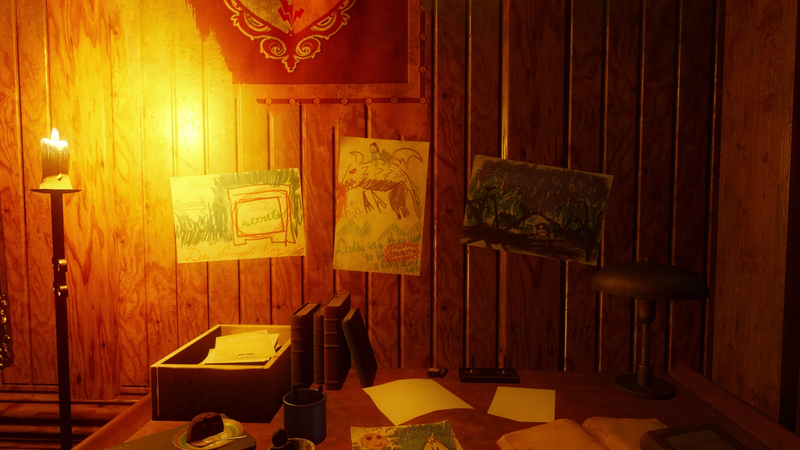 I can only speculate to what you have been doing in the weeks since your disappearance from Der Riese. If you have succeeded in creating some kind of doppelganger program, I must urge (not sure) you to return to the vault and surrender all research to Group 935. It is not too late. What happened to you Edward?! What drove you to this... this betrayal?! Know this, your actions will not alter the outcome of the war! It is now beyond doubt that your actions pose a threat to the work of Group 935! Your treachery leaves me no option but to take steps to insure your termination... Even if it means the destruction of the castle itself! Launch protocol initiated. Thirty seconds to impact! We are hitting (not sure) multiple rocket launches. What have you done?! 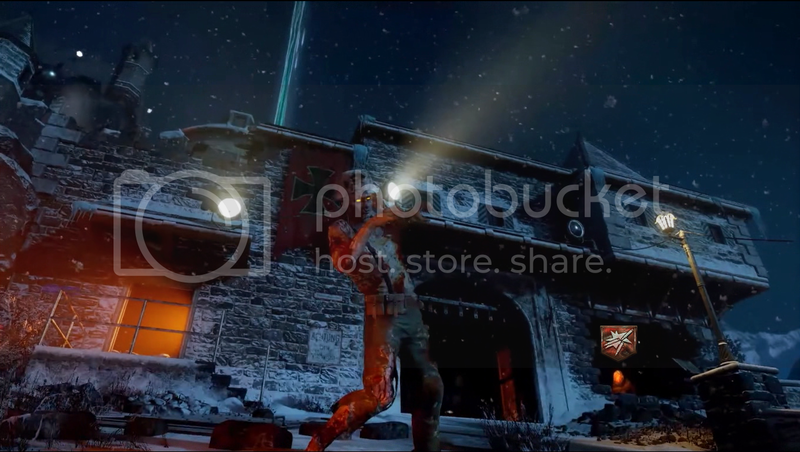 You are fool Richtofen! Even the destruction of this facility and my own death will not prevent the advancement of our cause. You stop nothing! Shouldn't the phonographs be listed as another musical side quest? Or am I mixing things up? Wow at those book titles. Occultism & British Royals, eh? Didn't see that one coming lol. 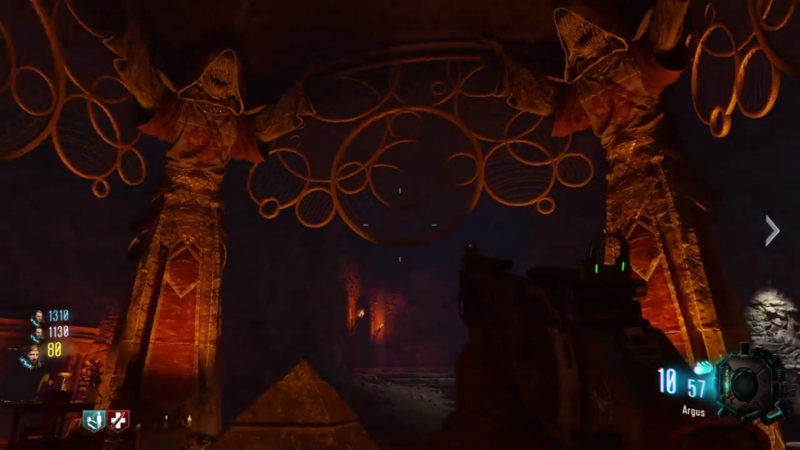 Been playing Der Eisendrache non stop and one of the quotes I heard from richtofen was " Even Samantha cries for the blood of the damned"
Occultism & British Royals, eh? Didn't see that one come lol. Pretty sure this relates to the famous Alchemist, John Dee. John Dee was the advisor and tutor to Queen Elizabeth I.
John Dee created this magical sigil (below) called "Sigillum Dei Aemeth" (aka, Seal of God). With it he believed he could decipher the names of all the arch-angels. With this magical symbol, Dee and his magick partner Edward Kelley, would summon and communicate with angelic inter-dimensional beings. 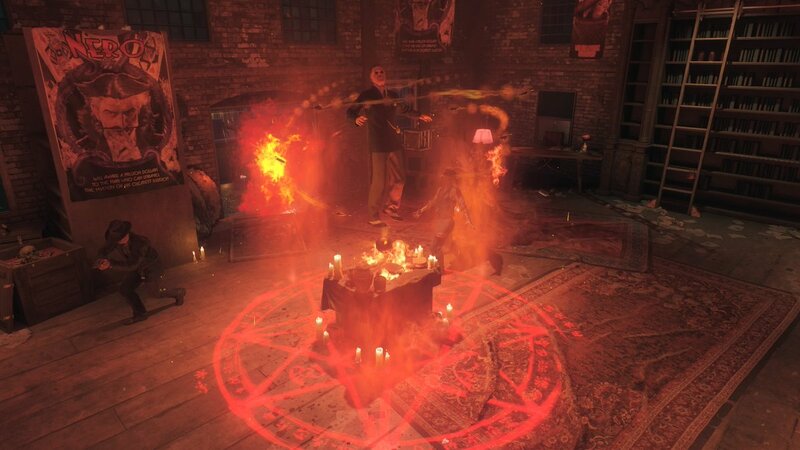 At first the two alchemist believed that the beings they were summoning, and communing with were angels. However after awhile they had to start questioning the motives of these beings, who started to present themselves more as soul damning demons than angels of good. Any of this starting to sound familiar in terms of things we've experienced in this game? Here's a couple links with more info, in case anyone decides to dive deeper into this topic. Thanks for those links Mix. 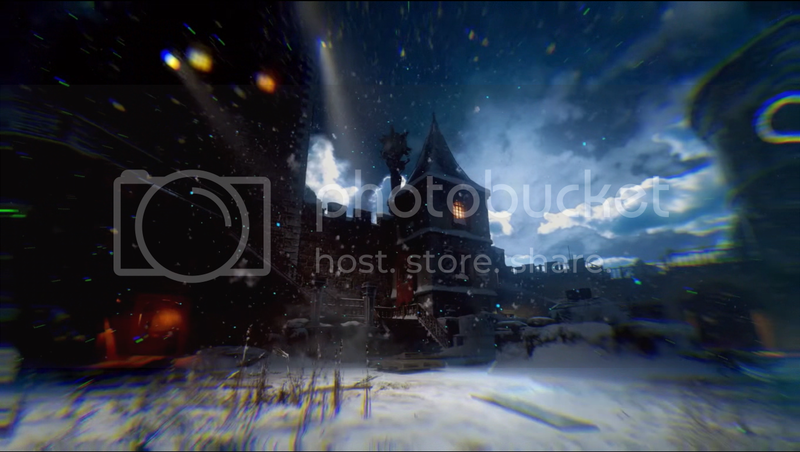 (The brown middle-left thing looks like a horse-head in this shot and on 360. 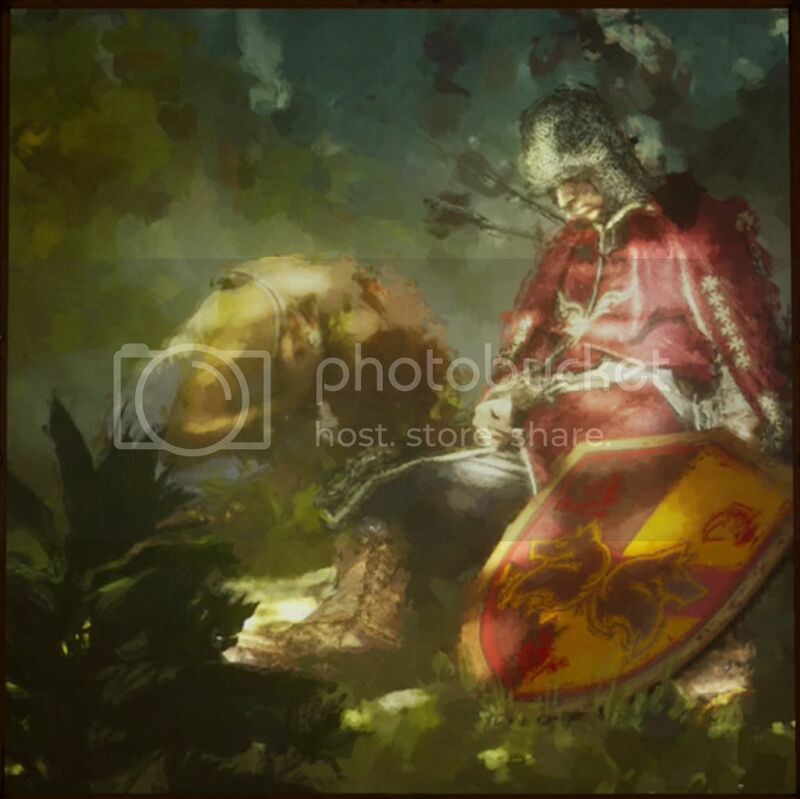 In the first post, the shot is very clearly the big guy bent over by the dead king). 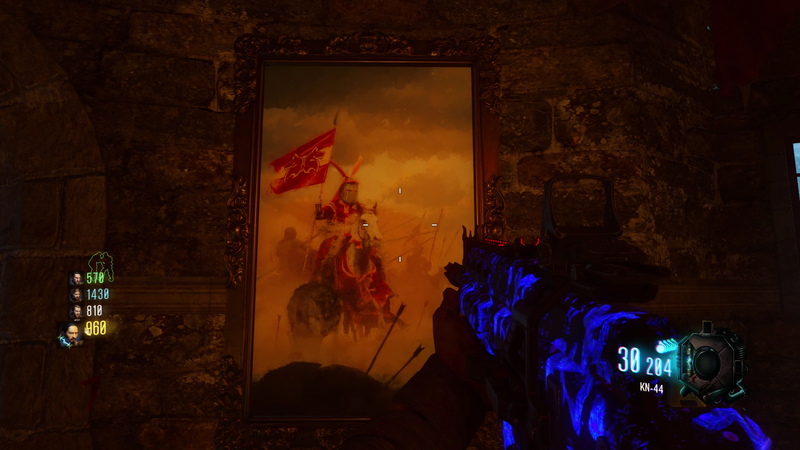 The big guy from Buried turned into the king's horse? 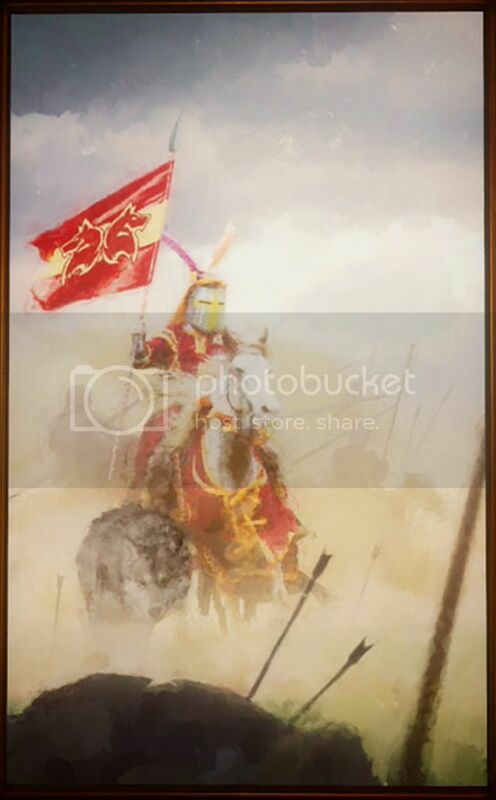 Or because the king's head is lowered, he is the big guy, despite not looking like him nor being the same size? Ha. I'm not trolling, i just did not understand this post at all. 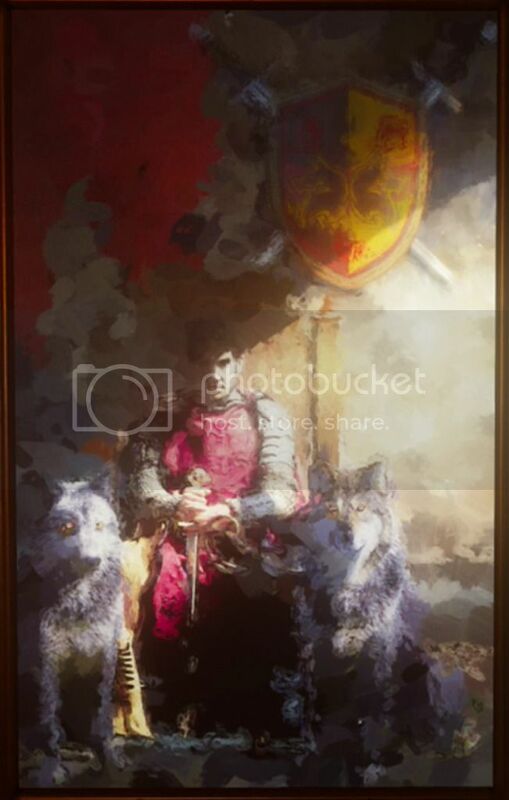 A giant drunk dude in a cell, and a picture of a regular-sized king, on a horse, with arrows in his chest. 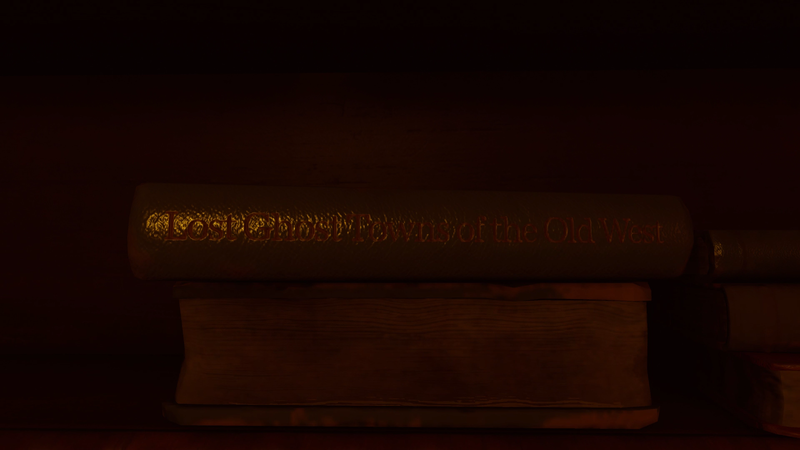 I specify that the place where is the book "It Came From the Corn Field" is not accessible in theater mode. @Kalinine has also found others books.